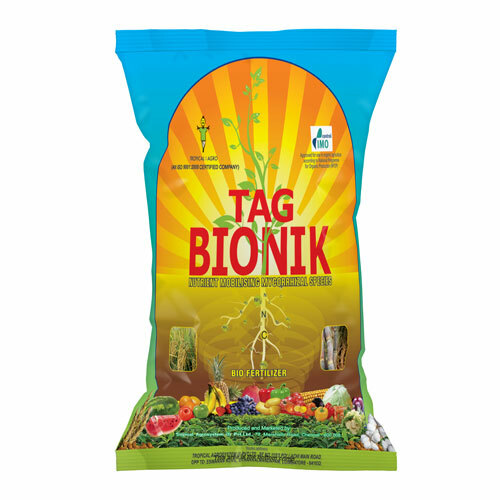 Tag Bionik is a biofertilizer product containing a mixture of most useful range of mycorrhizae (VAM) spores and propagules. It is recommended to apply along with required quantity of farm yard manure or oil cakes. 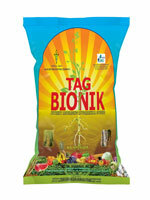 Tag Bionik contains a selected strains of most effective species of following mycorrhizae. Mycorrhizae are so closely connected to the roots of plants that they are considered an extension of the root system. The extension of the effective root area of the plant, increase the absorption and translocation of immobile nutrients. Many elements like N, P, K, S, Zn, Ca, Mn & Cu is taken.The available Phosphorus concentration in the root zone is increased. Increases biomass, production and yield. 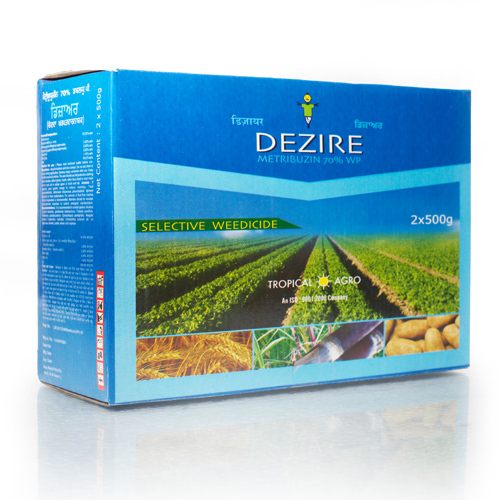 Protects crop from harmful plant diseases and increase the resistance of plants. Stress tolerance and better water retention capacity in soil. Application can be made along with farmyard manure or compost or organic manure or soil. 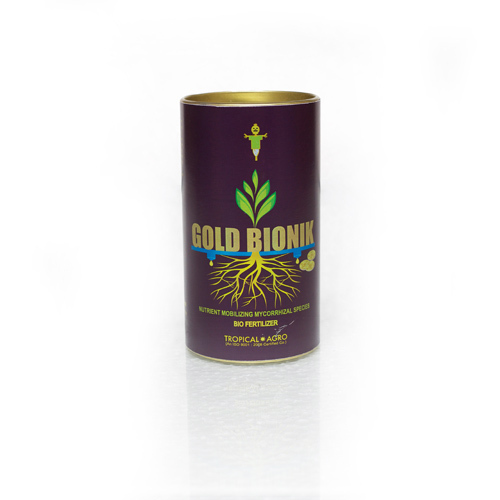 Gold Bionik is a water soluble powder Biofertilizer formulation containing a mixture of most useful range of mycorrhizae (VAM) spores. It is recommended to apply through drip irrigation or as soil drench. 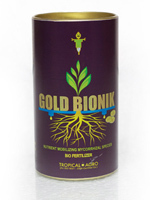 Gold Bionik contains a selected strains of most effective species of following mycorrhizae. Mycorrhizae are so closely connected to the roots of plants that they are considered an extension of the root system. 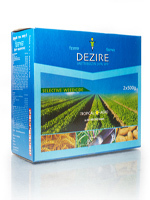 The extension of the effective root area of the plant, increase the absorption and translocation of immobile nutrients. Many elements like N, P, K, S, Zn, Ca, Mn & Cu is taken. The available Phosphorus concentration in the root zone is increased. Suitable for seed treatment and application through drip irrigation system. 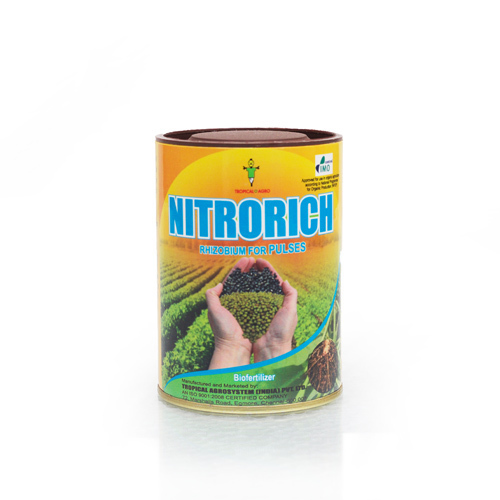 Nitrorich is a biofertilizer product containing Rhizobium, a bacterium, forming symbiotic relationship with leguminous crops. It colonizes plant cells within root nodules and converts atmospheric Nitrogen to NH4 form which is useful to the plants. Rhizobium fixes atmospheric nitrogen through root nodules. 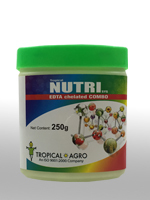 Tropical Agrosystem offers 4 different crop specific formulations viz. Crop specific Rhizobium, viz. 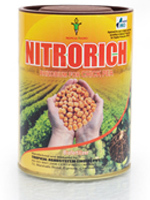 Rhizobium for Soybean, Rhizobium for Groundnut, Rhizobium for Chickpea and Rhizobium for other leguminous crops. Best suited for seed treatment. Very high concentrated product with heavy load of Rhizobial spores. 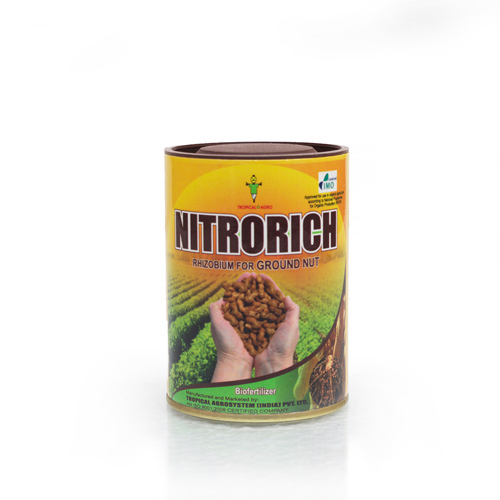 Reduces chemical Nitrogen fertilizer dose by upto 25%. 10 gm for seeds required for 1 acre. For seed treatment, mix 50 ml Biosticker (provided along with the product) in 500 ml water. Finally add 10 gm of Nitrorich and thoroughly mix. Slowly pour this solution and thoroughly mix with seeds required for one acre. The treated seeds are shade dried for 30 minutes and are ready for sowing. Crop specific Rhizobium, viz., Rhizobium for Soybean, Rhizobium for Groundnut, Rhizobium for Chickpea and Rhizobium for other leguminous crops. 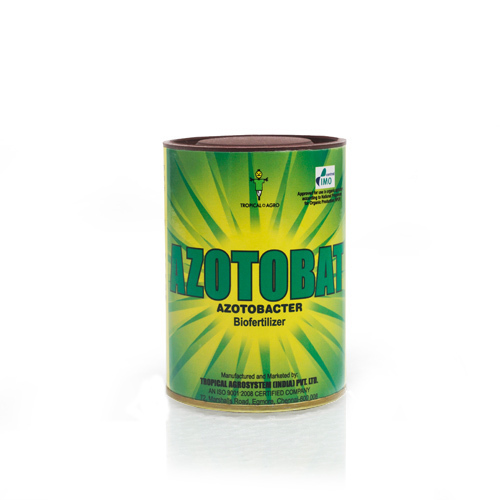 Azotobat is a biofertilizer product containing Azotobacter chroococcum, a nitrogen fixing bacterium that fix molecular nitrogen from the atmosphere, releasing it in the form of ammonium ions into the soil, that are made available to the plants. 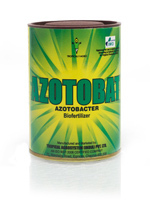 Contains virulent strain of Azotobacter chroococcum for efficient nitrogen fixing. Very high concentrated product with heavy load of spores. 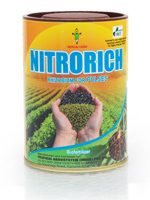 Reduces the requirement of chemical Nitrogen fertilizer dose by upto 25%. Recommended on all the crops, except legumes. Finally add 10 gm of Azotobat and thoroughly mix. 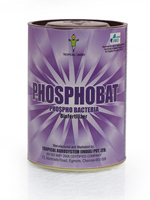 Phosphobat is a biofertilizer product containing highly efficient strain of phosphate solubilizing bacteria (Bacillus megaterium) that grow and secrete organic acids, which dissolve unavailable phosphate in the soil into soluble form and make it available to the plants. 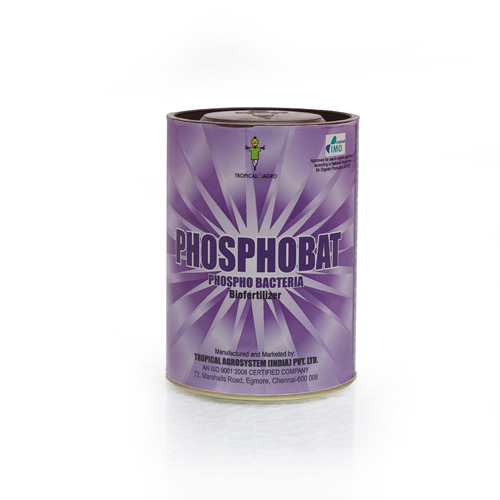 Contains virulent strain of Bacillus megaterium for efficient phosphorus solubilization. 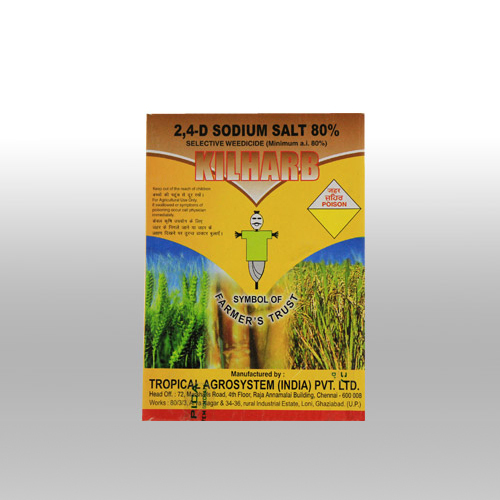 Reduces the requirement of chemical Phosphate fertilizer dose by upto 25%. Recommended on all the crops. Finally add 10 gm of Phosphobat and thoroughly mix. 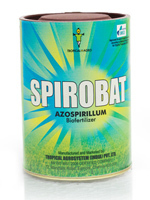 Spirobat is a biofertilizer product containing Azospirillum lipoferum, a nitrogen fixing bacterium that fix atmospheric nitrogen in the form of ammonium, that are made available to the plants.Biological nitrogen fixing process happens through assimilation of ammonium and the activity of nitrogenase. 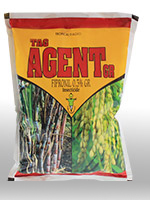 Recommended on cereals, oilseeds, vegetables, fruits and plantation crops. Finally add 10 gm of Spirobat and thoroughly mix. 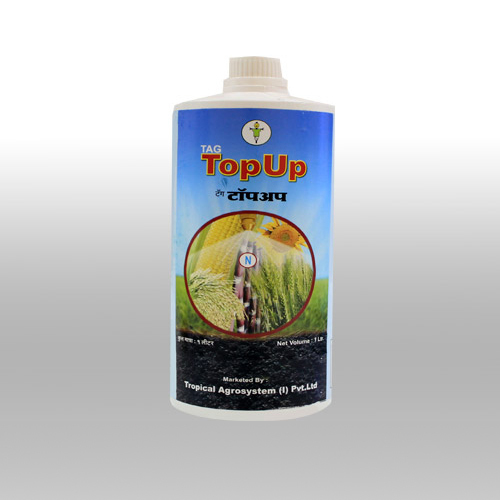 Tag Topup is an effective organic plant growth booster based on consortium of agriculturally beneficial plant growth promoting rhizobacterial microorganisms, microbial growth promoting hormones, etc., for boosting the plant growth and increasing crop productivity. Product with high cell count, longer shelf life and greater protection against environment stresses. Special product for boosting plant growth. 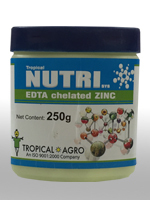 Reduces the dependency on chemical fertilizer to great extent. Recommended on sugarcane and other graminaceous crop. Do not mix Tag Topup with any chemical fertilizer or any chemical. 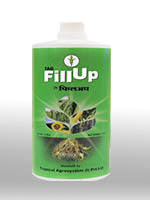 Tag Fillup is unique organic based agro product containing agriculturally beneficial plant growth promoting rhizobacterial micro-organisms, organic plant nutrients, microbial growth promoting hormones, etc., for the restoration of biological fertility in soil. Increased field efficiency and improve yield. 1 Lt / acre through drip irrigation or as soil drenching. 1 Lt / acre along with FYM or organic compost and apply at the time of planting. Do not mix Tag Fillup with any chemical fertilizer or any chemical. 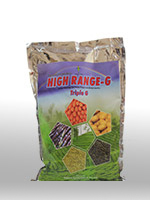 Improves overall growth and yield of the crops. 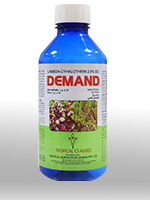 Increases rate of photosynthesis and reduces the intensity of chlorosis. 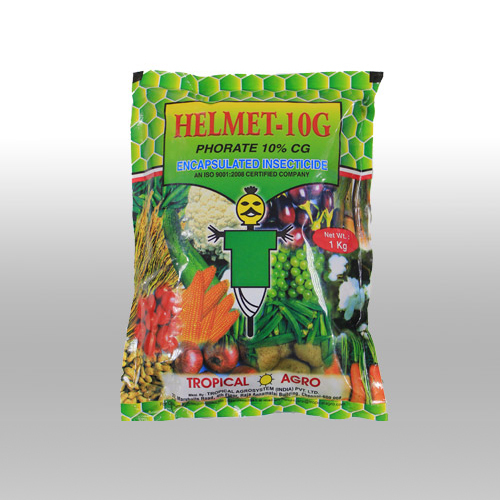 Compatible with chemical pesticides and fertilizers. 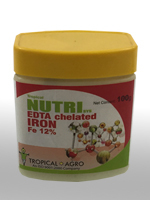 Significantly reduces the dependency on chemical fertilizer. Eco friendly and certified organic product. 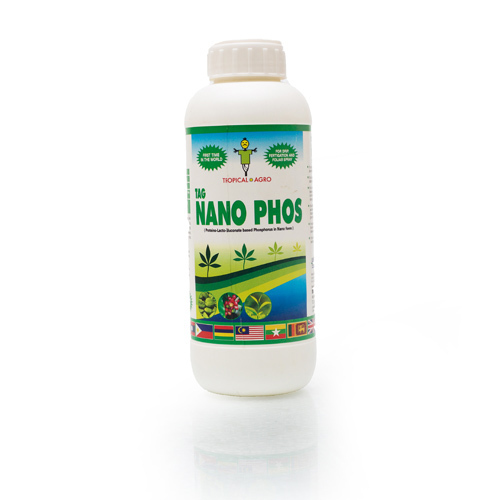 Tag Nano Phos is an innovative, first of its kind product that combines gluconated phosphorus fertilizer and Indian Council of Agricultural Research (ICAR) '4G' Nano nutrient technologies.Tag Nano Phos is a unique proteino-lacto-gluconate formulation that helps to prevent and correct Phosphorus deficiency in the cultivated crops. 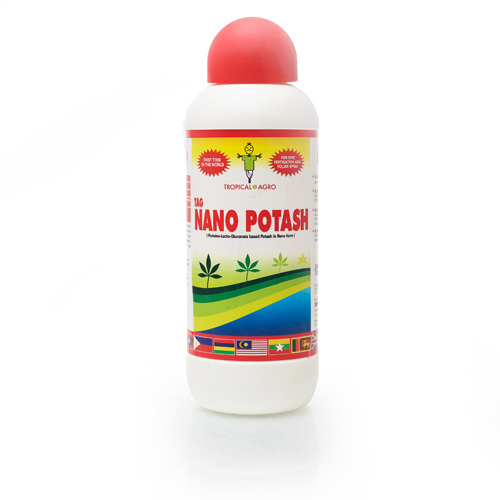 It also reduces the intensity of chlorosis, withering in patches, formation of abnormal leaves, increases crop tolerance to diseases and boost growth. Based on latest green technology. 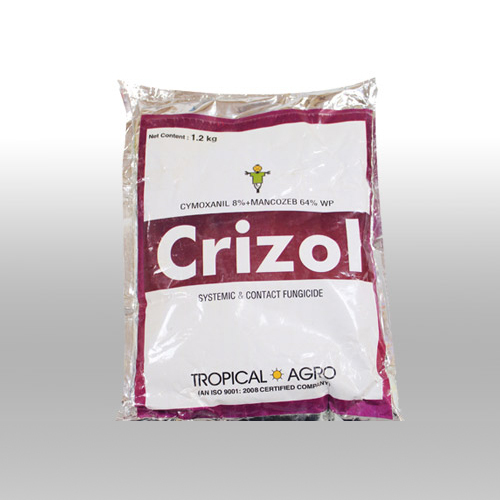 Significantly reduces the dependency on chemical phosphorus fertilizer. 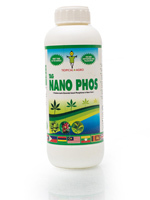 Accelerates photosynthesis that results in increased synthesis of carbohydrates, fats and proteins. Reduces the intensity of chlorosis. Increases stress tolerance of plants. 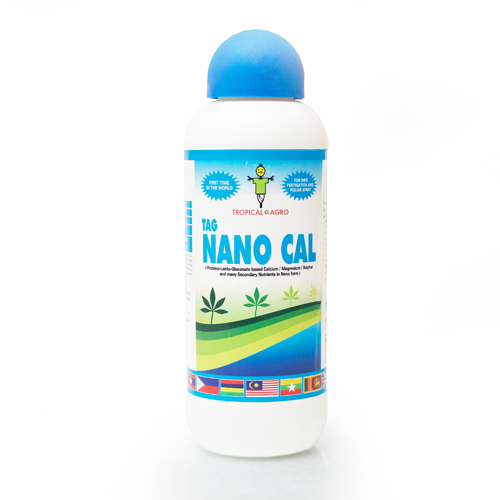 Tag Nano Cal is an innovative, first of its kind product that combines gluconated fertilizers and Indian Council of Agricultural Research (ICAR) '4G' Nano nutrient technologies. 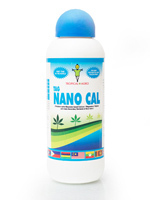 Tag Nano Cal is a unique proteino-lacto-gluconate formulation,containing bio-available calcium, magnesium, sulphur and all secondary nutrients. 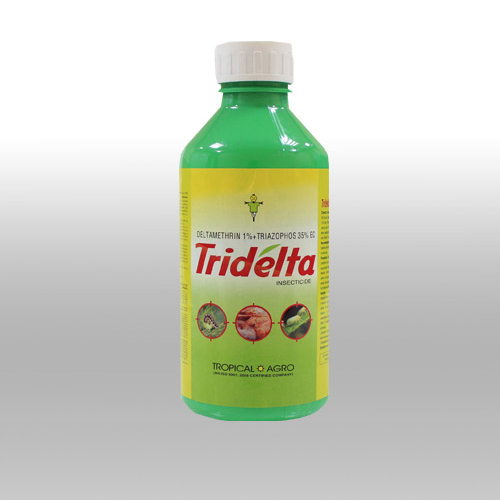 Improves physiological activities of the plants. Tag Nano Zinc is an innovative, first of its kind product that combines gluconated fertilizers and Indian Council of Agricultural Research (ICAR) '4G' Nano nutrient technologies. 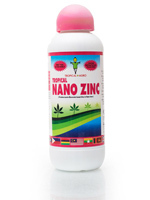 Tag Nano Zinc is a unique proteino-lacto-gluconate formulation, formulated with organic and chelated Zinc, vitamins and probiotics. 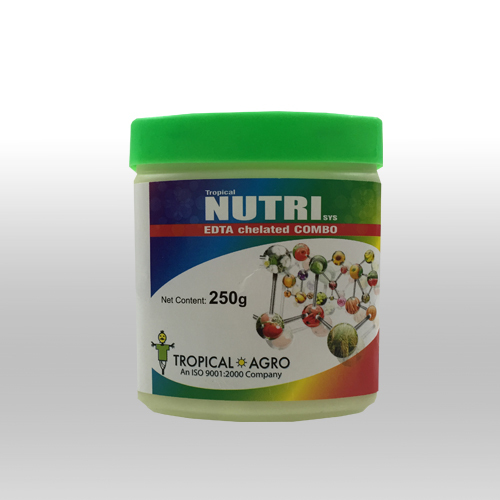 Improves flower formation, fruit set and overall growth and yield of the crops. 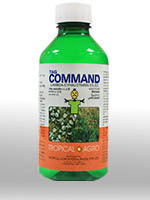 Reduces the intensity of chlorosis and reduces withering in patches. 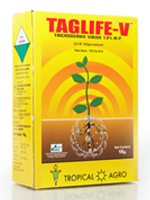 Taglife - V contains Trichoderma viride, an antagonistic fungus, effective against a wide range of seed and soil borne plant diseases. 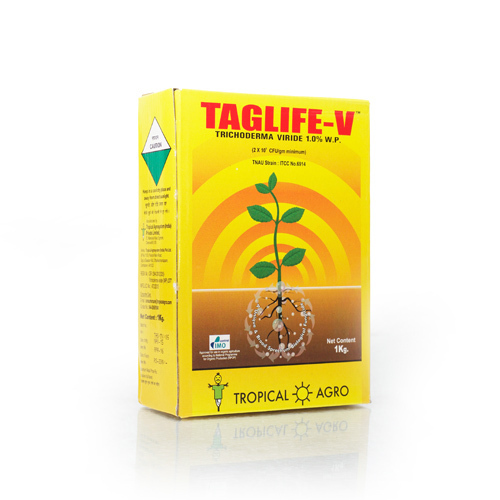 Taglife – V effectively controls wilt, root rot, dieback and fruit rot causing seed and soil borne plant pathogens like Sclerotium spp, Pythium spp, Phytophthora spp, Fusarium spp, Rhizoctonia spp, Sclerotinia spp and Ustilago spp. which infects different kinds of crops. The product contains most virulent strain of T. viride. Effective against wide range of soil and seed borne plant diseases. Control tough to control plant pathogens like Fusarium, etc. Does not leave any harmful residues in food product and soil. Soil application can be done either as soil drenching or through broadcasting along with FYM / Soil. Use Taglife - V for seed treatment as a prophylactic measure and apply in the field, immediately on appearance of disease symptoms in various crops, preferably late in the evenings for optimum efficacy. Do not mix with chemical fungicides. The product contains most virulent strain of T. harzianum. 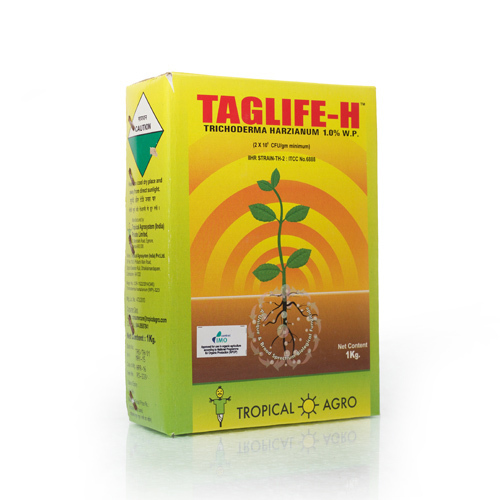 Use Taglife - H for seed treatment as a prophylactic measure and apply in the field, immediately on appearance of disease symptoms in various crops, preferably late in the evenings for optimum efficacy. Apply 7 days after application of chemical fungicides. 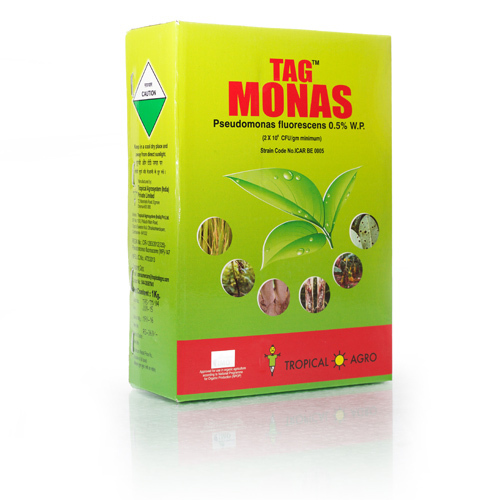 Tag Monas contains Pseudmonas fluorescens, an antagonistic bacteria, effective against a wide range of foliar, seed and soil borne plant diseases. It is antagonistic to foliar or rhizosphere plant pathogenic bacteria and fungi. Grows abundantly on host surface and acts as a shield, thus preventing penetration of nematodes inside plants. The product contains most virulent strain which is effective against wide range of fungal and bacterial diseases in several crops. It is recommended in wet land crop like Rice. It is capable of thriving well even in saline soils that is characteristic of Rice and millet growing areas. 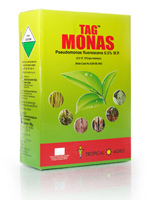 Tag Monas is used in the control of leaf diseases. It is effectively utilized to control plant pathogenic organisms like Sarocladium, Pyricularia, Rhizoctonia, Sclerotium, Pythium, Phytophthora, etc. Safe to human, animals, non target organisms and environment. No waiting period. Does not leave any residues in produce and in environment. 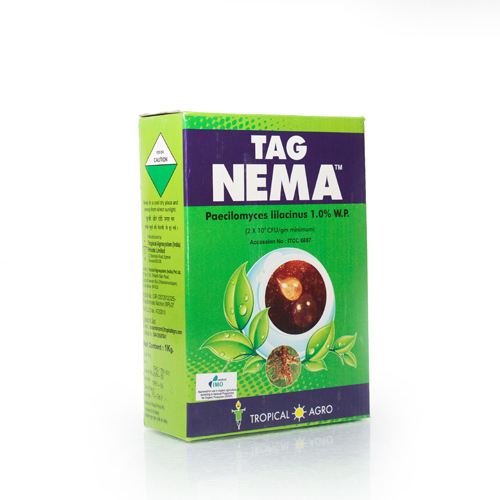 Tag Nema contains most virulent strain of Paecilomyces lilacinus, a nematophagous fungus, which is effective against nematodes like cyst nematodes, citrus nematode, burrowing nematode, reniform nematode, root knot nematodes, etc., infesting various crops. The product contains most virulent strain of P. lilacinus. 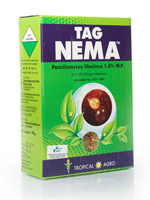 Attack all stages of nematodes like egg, juvenile and adult. Does not leave any residues in produce and in environment. 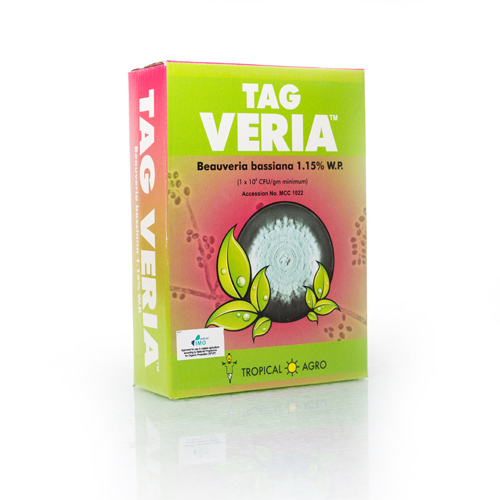 Tagveria contains most virulent strain of Beauveria bassiana, a broad spectrum entomopathogenic fungus, which is effective against various pests like aphids, hoppers, scales, beetles, grubs, termites, lepidopteran larvae, etc. Tagveria contains most virulent strain of B. bassiana. 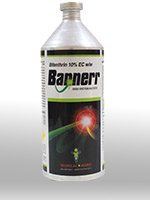 Compatible with chemical pesticides, except fungicides. Best IPM tool for resistance management. 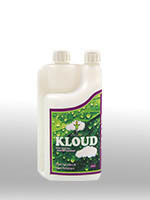 1 kilogram per acre with wetting agent (Kloud). Wetting agent improves the efficacy of the product. 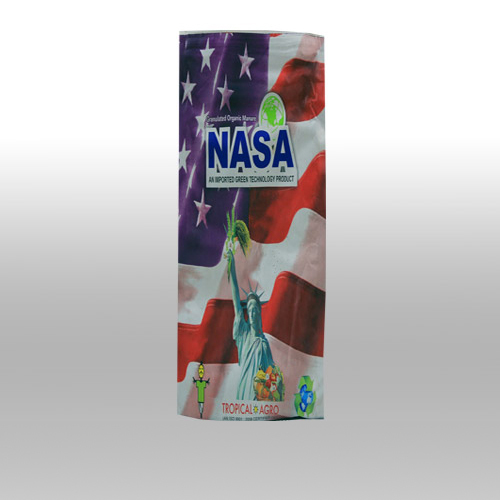 Nasa is a granulated organic manure formulated with USA technology using a combination of plant growth promoting substances & organic essence in correct balance. It is used for increasing yield and quality of all kinds of crops including cereals, cotton, oilseeds, pulses vegetabes, fruit crops, plantation crops, etc. Improves tolerance against stress conditions. Safe to human being, animals, non-target organisms and environment. 1 – 2 Kg / acre. Broadcast application along with FYM / Organic Manure / Fertilizers. Rice, other cereals, vegetables, fruits, pulses coffee, tea, ornamentals and plantation crops. Tag Bumper acts by binding soil particles with humus. With a higher cation exchange capacity, it helps retain nutrients and makes them available to plants. Tag Bumper improves the nutrient use efficiency of the treated plants and the recommended dose of fertilizer can be reduced to 80% of the recommendation. 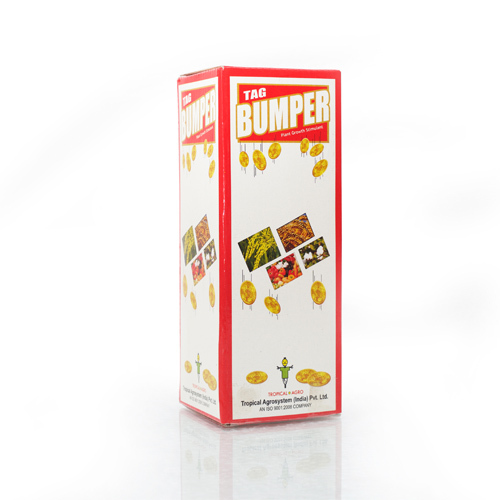 Tag Bumper increases growth parameters such as tiller numbers / branches, panicle length / panicle numbers, buds and flowers, grain numbers and grain weight. 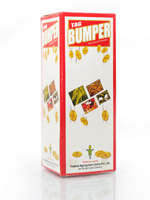 Tag Bumper application induces profuse flowering and fruiting and also prevents flower and fruit drop. Best product in the plant growth promoting products segment. Induce profuse flowering and prevents dropping of flowers and fruits. Better seed germination and increases yield significantly. 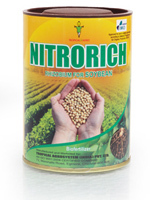 Improves nutrient uptake, photosynthesis and nutrient use efficiency. 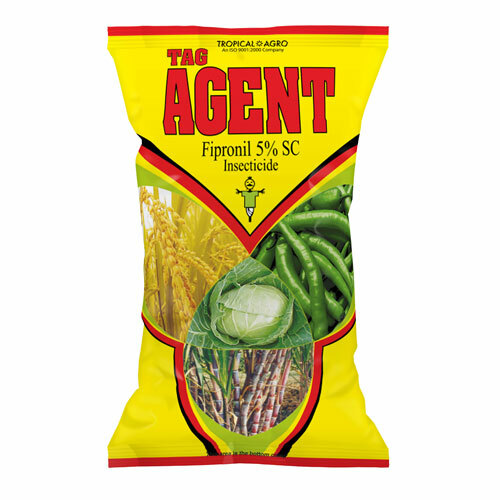 Compatible with biopesticides, chemical pesticides and fertilizers. Improves soil structure and soil aeration. No waiting period. 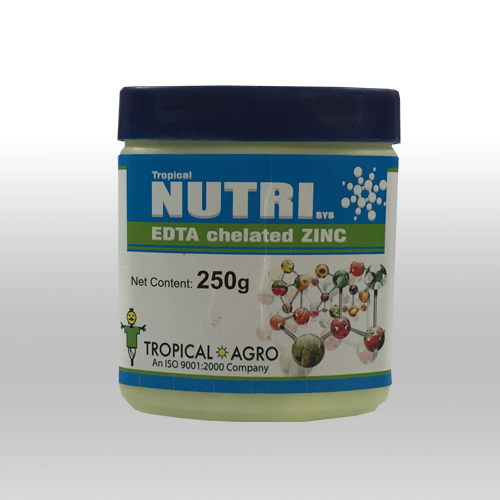 Does not leave any harmful residues in produce and in environment. 3 – 4 ml / water as foliar spray / soil drenching. 5 ml / Litre water for seed treatment. 1 lt / acre through drip irrigation system. Tag Bumper can be applied through drip irrigation along with water soluble fertilizers. Due to high Cation Exchange Capacity, Tag Bumper helps to minimize scaling in drip lines. Recommended on all the crops including Rice, other cereals, vegetables, fruits, pulses coffee, tea, ornamentals and plantation crops. 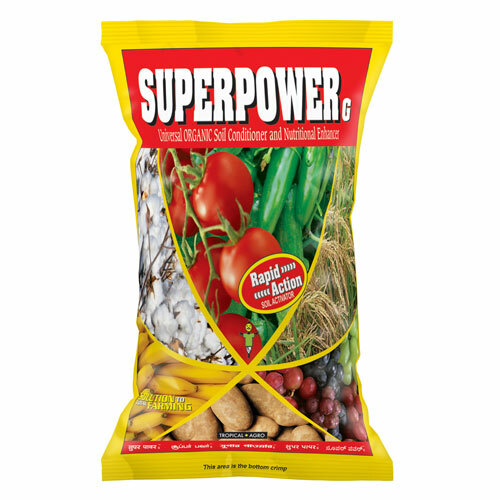 Super Power G is a naturally occurring organic soil conditioner. 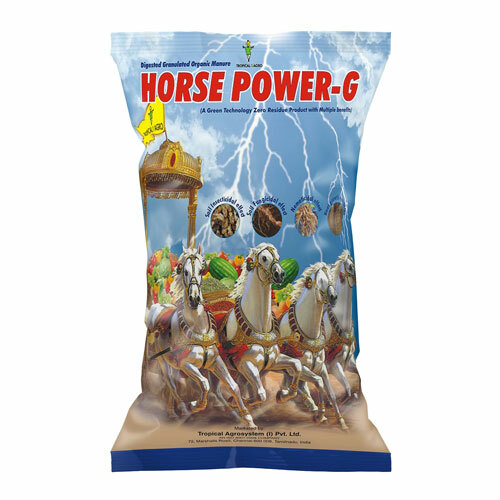 Super Power G in granular form is specifically designed for soil application, ensuring rapid action due to its high solubility in water. (ii) Accelerating organic matter decomposition. (iii) Increasing humus / carbon content. Increases root mass, fruit yield and bio mass of the plant. 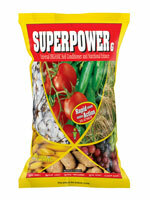 Improves uptake of macro and micro nutrients from the soil. 5 – 10 Kg / acre. All kinds of crops including cereals, vegetables, fruits, pulses coffee, tea, ornamentals and plantation crops. 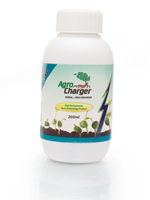 Agro Charger is a herbal, biodegradable organic crop growth enhancer transformed into Nano molecules, half the size of a DNA. The ultimate colloidal formulation based on the principle "Quantum Electro Mechanical Physics” and “Colloidal Technology". Increases water use and nutrient use efficiency in treated plants. 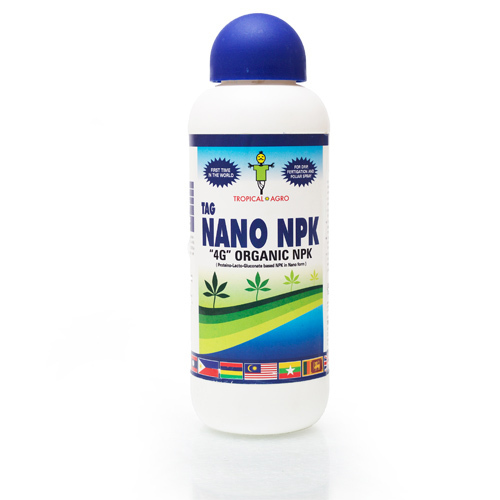 Enhances the growth, crop hardiness and yield. Improves plant resistance to cold weather. No waiting period. Ecofriendly and safe. 15 – 20 days after the first application. It can also be applied through drip irrigation. Recommended for all the crops. 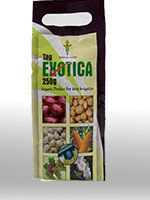 Tag Exotica is unique product containing concentrated extract of marine flora and fauna. It works at the energy centre of plant cells enabling them to hasten all critical metabolic and bio-chemical processes within the plant system, leading to rapid vegetative and reproductive growth of plants. Treated plants develops great resistance to adverse stress conditions. Increases yield significantly and better quality of end produce. Foliar spray: 1 – 2 gm / Lt water. Drip irrigation system: 250 – 500 gm / acre. 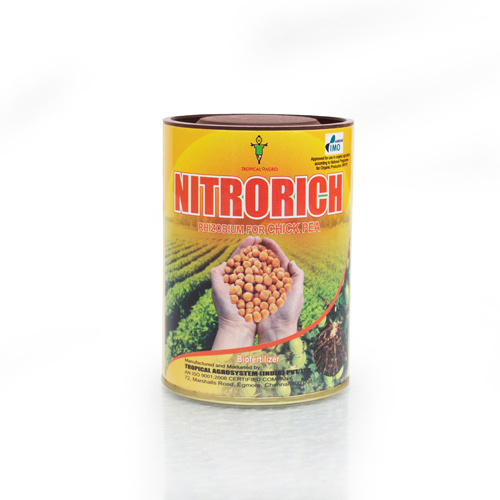 Recommended to use in a wide range of crops such as cotton, paddy, vegetables, plantation crops,oilseeds, pulses, horticultural crops such as grapes, banana, citrus, pomegranate, etc. Humacid (Humic acid) comes from vegetation deposits that have heated up,compacted and slowly carbonized to become coal. This natural process exuded acids and esters from the vegetation on top of the coal (Leonardite) deposits. Humacid is a growth stimulant and a chelating agent. Humacid increases a plant's tolerance for drought. 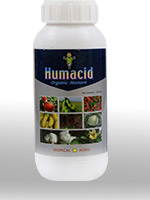 Humacid increases sugar and chlorophyll content in the plant. Humacid is non-toxic and completely natural. Seed Treatment : 5-10 ml / kg of seed use 10-15 ml / l kg for small seeded crops. Seedling Root Treatment : 20-25 ml / litre of water. Dip the seedling root for sufficient time before transplanting. Foliar Application : 1-2 ml / litre water using knapsack sprayers . 2-4 ml of / liter of water using power sprayers. Drip Irrigation : 1- 2 litre / acre. 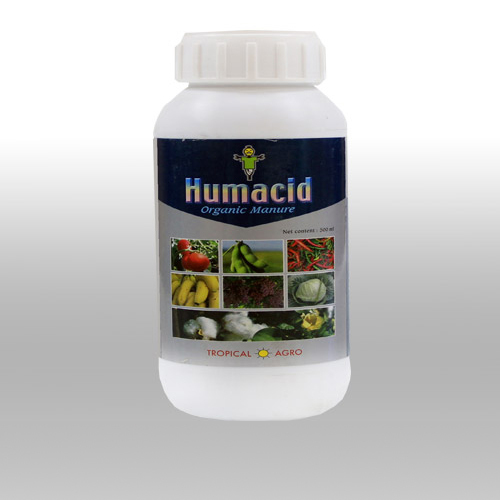 Humacid can be safely used on all Field Crops, Fruit Crops, Plantation Crops, Vegetable Crops, Ornamentals, Lawns, Turf grass and House plants. In short, Humacid can benefit almost anything which grows. Tropicana increases flowering, fruit setting and yield. 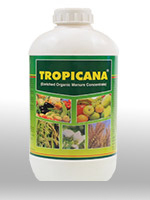 Tropicana stimulates metabolic processes and energizes the plant system. 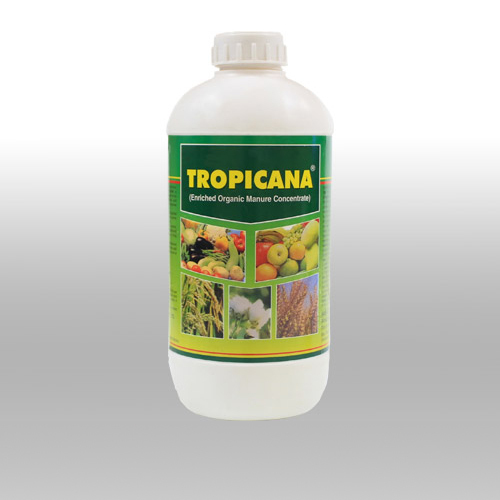 Tropicana promotes the uptake of nutrients both during vegetative and reproduction growth stages of the plant. Tropicana boosts flowering and improves uniform grain development. Foliar spray : 250- 500 ml / ac. Cotton, Paddy, Vegetables, Tea, Coffee, Grapes, horticultural crops. 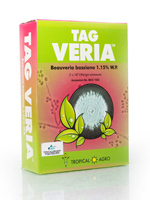 Tag Bio contains 100% natural and enriched organic biostimulant. Tag Bio helps to increase the yield and quality of produce. Increases the uptake of nutrients. 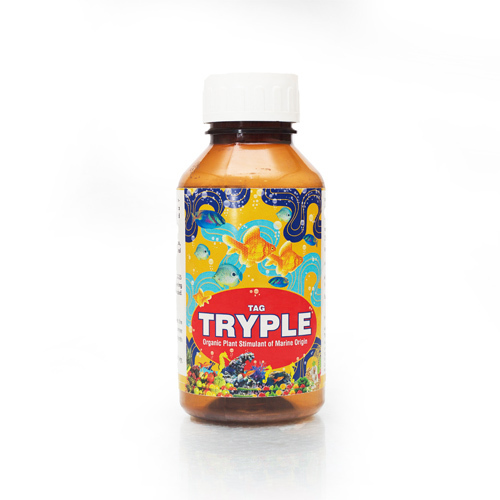 Enhances the growth of micro-organisms. 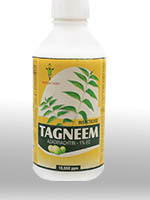 Tagzyme is a liquid extract of the fastest growing seaweed in the world - Ecklonia maxima. Tagzyme is the only extract produced from the "Cold Cell Burst Method”. This method simply ruptures the cell walls releasing vital plant hormones without any denaturing. 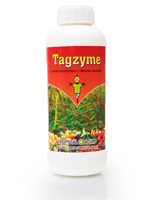 Tagzyme promotes a larger and more vigorous root system. Tagzyme helps crops recover from stress situations. 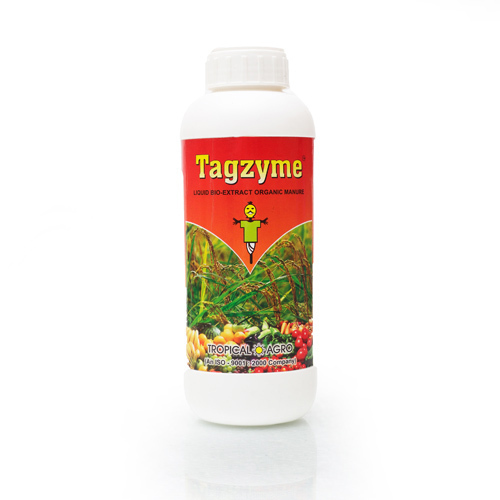 Tagzyme encourages strong stem cell development, reducing lodging of cereal crops and head drop in flower crops. Tagzyme reduces senescence in many leaf crops. 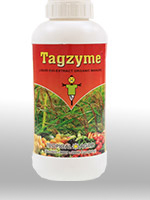 Tagzyme promotes plant growth, development of buds and fruiting. Foliar spray : 200 ml / ac. 1 - 2 ml / Lt water. Cotton, Paddy, Vegetables, fruit crops, Tea, Coffee, Grapes, pulses, oilseed crops, wheat sugarcane, horticultural crops. Tagzyme Granules is combination of microbial metabolites such as proteins, protein hydrolyzates, amino acids, organic acids, enzymes, growth promoters and vitamins with complex chelated secondary metabolites and micronutrients. Tagzyme Granules stimulates increased root growth. 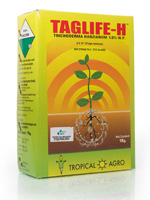 Tagzyme Granules enhances photosynthesis by increasing plants chlorophyll. 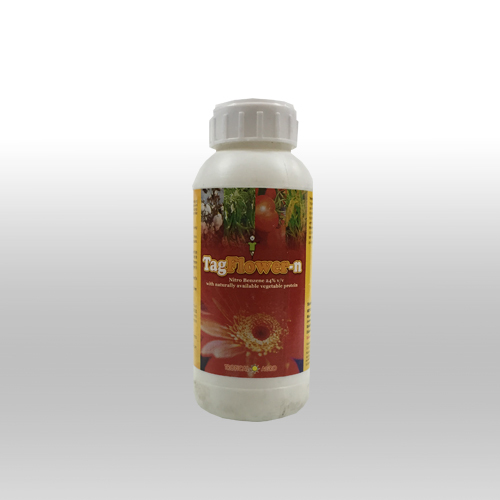 Tagzyme Granules increases the uptake of natural and added minerals. Tagzyme Granules improves the growth and yield of treated crops. Tagzyme Granules is recommended @ 8 – 16 kg/ ac. This should be uniformly broadcasted all over the field. : At the time of basal dose application. : 30-50 days after sowing/ transplanting. : 55-60 days after sowing/transplanting. HOW TO APPLY TAGZYME GRANULES? Apply near the root zone and mix well with the soil. Irrigate the field after application of Tagzyme Granules. 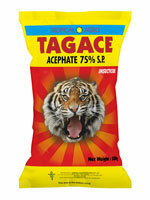 Tagzyme Granules can be applied along with all chemical fertilizers and granular insecticides. However, it should not be applied with growth retardants or weedicides. 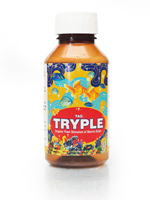 Tag Tryple is 100% imported organic biostimulant of marine plant origin. 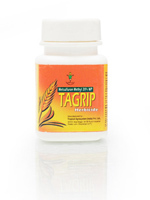 Tag Tryple is a biostimulant which enhances growth and flowering in plants leading to increased yield. 2-3 spray applications of Tag Tryple at 20-25 days interval, during vegetative, flowering and fruiting phase of the crop is recommended. Cotton, Paddy, Vegetables, Pulses, Oilseeds, Chillies, Tea, Coffee, Grapes, all Horticultural crops, Floriculture, etc. Tag Folder contains proprietary formula of unique combination of metabolites. It has broad spectrum action against a wide range of sucking insect pests, mites and early instar leaf folder caterpillars. 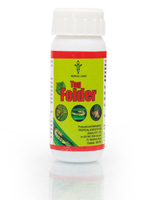 Tag Folder has synergistic relationship with all the commonly used insecticides and fungicides for plant protection. Mortality is observed from one day after spray and the effect is reasonably longer and continue to act against the target insects. Compatible with chemical insecticides and fungicides. Also compatible with biological pesticides. No waiting period. Does not leave any harmful residues. 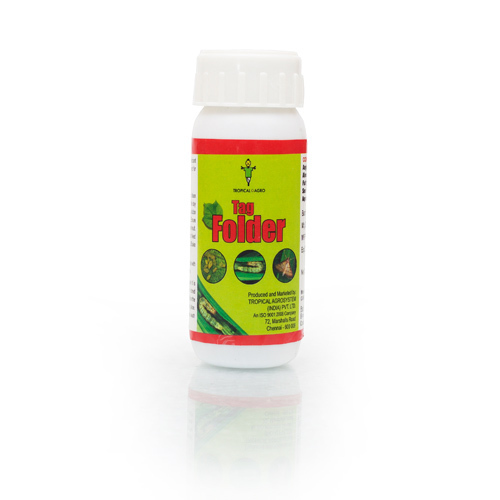 Foliar spray : 3 – 4 ml / Litre water (or) 300 – 400 ml / acre, depending upon the severity of the pest incidence. 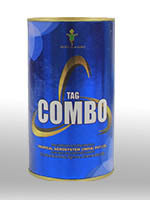 Tag Combo contains proprietary formula of unique combination of secondary metabolites. It has a broad spectrum action against a wide range of pests like sucking insect pests, mites,and caterpillars. 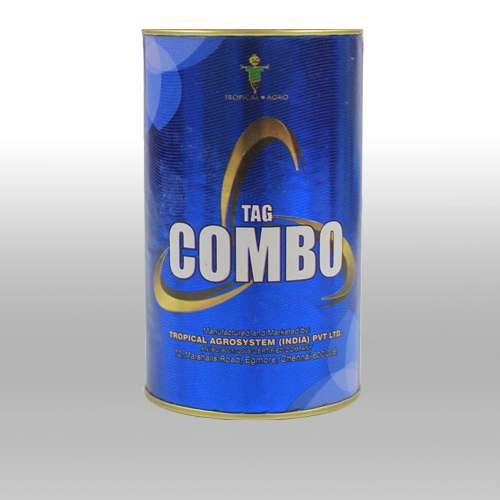 Tag Combo is first of it’s kind formulation which has promising action against a wide range of insect pests and mites. The water soluble nature of the formulation makes it more versatile and easy to apply as foliar spray, soil drench and through drip irrigation. Tag Combo contains a unique combination of secondary metaboltes. Compatible with chemical insecticides, but not fungicides. Synergistic action with chemical insecticides. Foliar spray : 1 gm / Litre water (or) 70 – 100 gm / acre, depending upon the severity of the pest incidence. Soil drenching : 1 gm / Litre water. 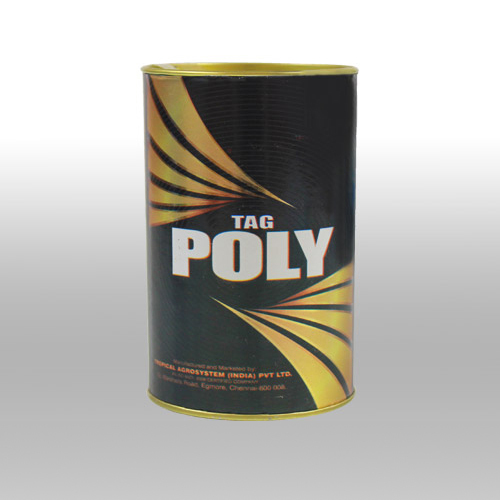 Tag Poly contains proprietary formula of unique combination of secondary metabolites It has broad spectrum action against a wide range of fungal and bacterial plant pathogens. Tag Poly works by initiating and enhancing systemic acquired resistance (SAR) in treated plants against plant pathogens causing diseases in cultivated crops. 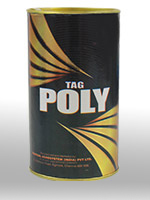 Tag Poly contains a unique combination of metabolites. Compatible with chemical insecticides, but not chemical fungicdes. Soil drenching @ 1 gm / Litre water. Do not mix with chemical fungicdes. Apply 7 days after application of chemical fungicdes. 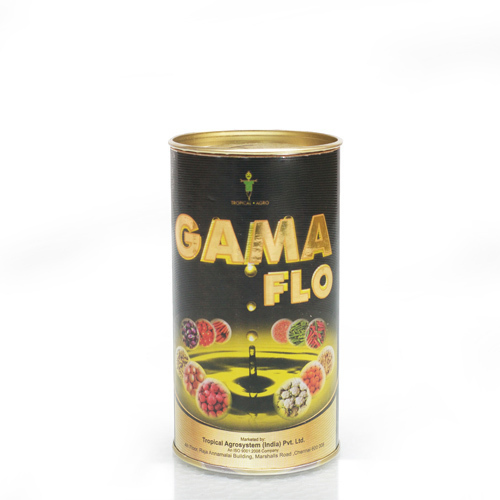 Gama Flo contains proprietary formula of unique combination of metabolites. It has broad spectrum action against a wide range of soil borne problems like plant pathogens, nematodes and soil borne insects. 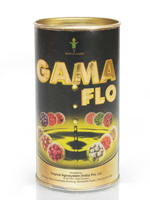 Gama Flo works by initiating and modulating the natural immune system in treated plants and effectively protects the root zone and prevents all soil borne problems. Effective for managing soil borne problems. Soil drenching : 2 - 3 gm / Litre water (or) 250 gm / acre. Seed treatment @ 2 - 3 gm / Kg seed. Eco is an organic bio-input derived from botanical extracts. It contains vegetable alkaloids and other derivatives extracted from several medicinal plants for total crop care. Eco develops plant immune system to resist crop pests and diseases. Eco promotes vegetative growth in plants and increase the yield. 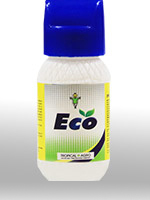 Eco provides total care to the plants. 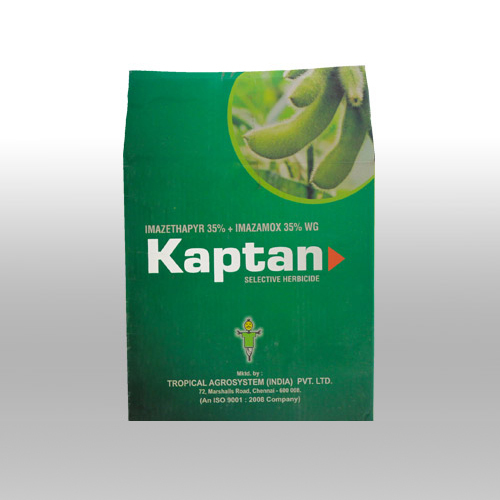 Improves yield and protects crop against pests and diseases. 2 – 3 gm / Litre of water. Can be applied as foliar spray or soil drench, once in 15 – 20 days, starting from 15 – 25 days after sowing / planting. Agro Clean is an incredibly powerful, yet amazingly safe, next generation all natural bio-based (herbal) product, developed through recent advances in organic chemistry. 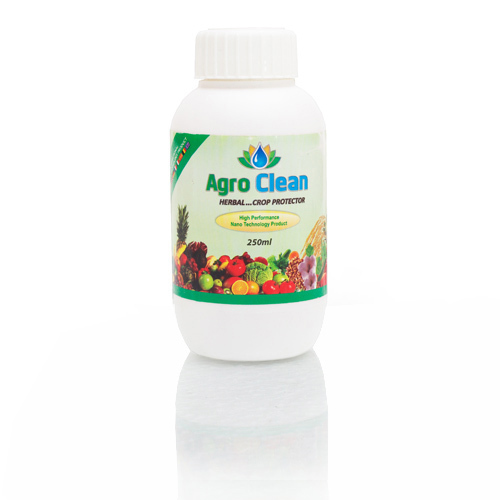 Agro Clean is so powerful that it is able to disinfect plants and neutralizes insects, bacteria and fungi. Agro Clean is fundamentally an augmented bioremediation technology derived from a relatively new field of advanced materials science known as organic colloidal chemistry. Using a proprietary manufacturing process, renewable, sustainable plant and vegetable oils are blended to create a truly eco-friendly particle. 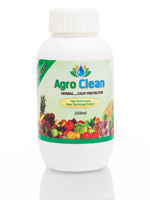 Agro Clean is useful against pests like whiteflies, mealybugs. scales, thrips and mites as well as bacterial and fungal plant pathogens. Effective against sucking insect pests and mites. 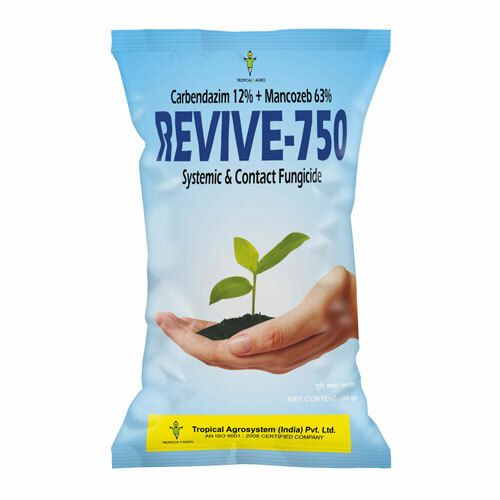 Effective against bacterial and fungal plant pathogens. Compatible with biopesticides and chemical pesticides. 4 in 1 Unique Granular Product. 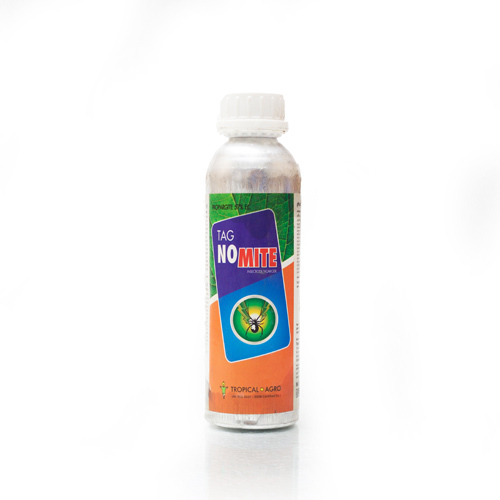 Imparts immunity to plants against Nematodes, Soil borne Diseases and Termites. Increases root and shoot growth and yield. Vegetable crops like Tomato, Chillies, Brinjals, potato and other crops. Second application at 50 % dose after 25 days . 1 to 2 kg per acre as basal application. If required, second application at 25 days of transplanting. 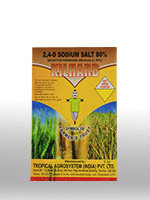 Recommended to be applied as Basal at the time of sowing or transplanting. For best results apply before attack of insect pests and plant pathogens. Crops like Garlic, Onion, Rice, Banana, Cumin, Tomato, Chillies, Brinjals, potato, groundnut, carrot, cotton and other crops. 4 to 5 kg per acre as basal application. If required, second application at 25 days of sowing / transplanting. Tag Orbit functions as a plant protector by activating resistance mechanism in the plant against a wide variety of diseases like Powdery Mildew, Leaf spot, Leaf Blight, Fruit rot, Anthracnose, Blast, Sheath blight etc. 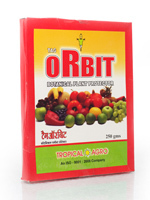 Tag Orbit is recommended on a wide variety of crops like Grapes, Chillies, Tomato, Pomegranate, Rice, vegetables, Cereals, Oilseeds, Plantation crops etc. Foliar spray: Dissolve 1-2 gms per litre of water and spray uniformly to cover the plant surface thoroughly. Tropical Agrosystem offers two formulations based on varied concentration of Azadirachtin viz.,1500 ppm (0.15%) and 10000 ppm (1%). 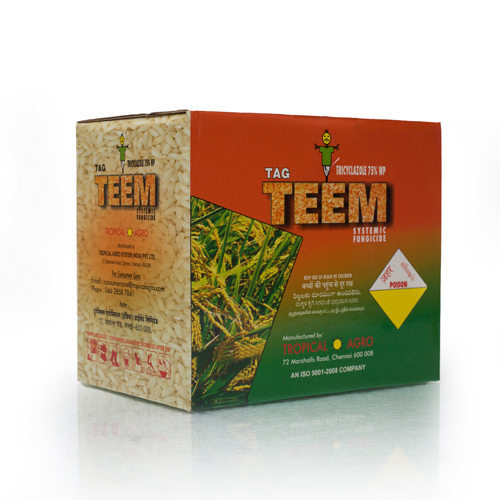 Tag Neem works against insects as Antifeedant, Insect growth regulator (IGR), Oviposition deterrent, Repellent, Chitin synthesis inhibitor, Disrupt mating and sexual communication. Increase effectiveness (synergism) of microbial biopesticides when used in combinations. Broad spectrum botanical insecticide with multiple modes of action. Does not leave any toxic residue in crop and in the environment. 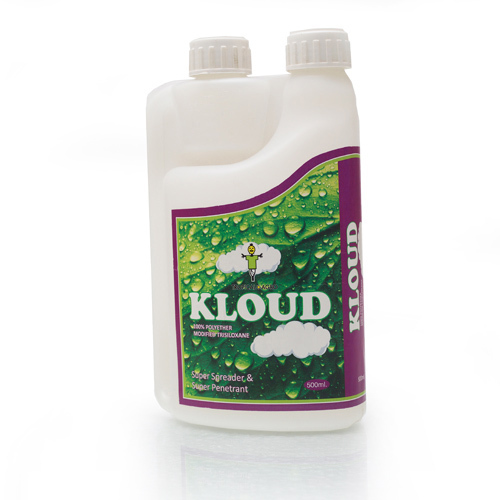 Kloud is a best in class; proprietary, organo-modified trisiloxane based spreading and wetting agent. 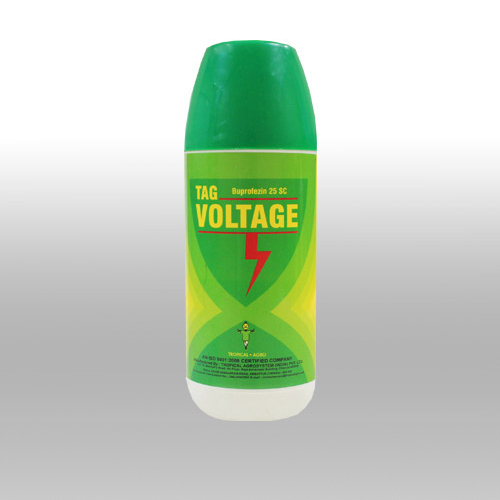 It is a tailor made, non-ionic surfactant, known for its super spreading (zippering effect) and high wetting and targeting action (cuticular penetration when used in all agricultural spray programmes. Its inherent rainfastedness (tolerate rain after one hour of application) allows larger amount of active ingredient to penetrate plant cuticle even under adverse conditions, thus saving spray volumes. Extremely versatile product which can be used as a tank-mix adjuvant to enhance the control of pests, diseases and weeds. 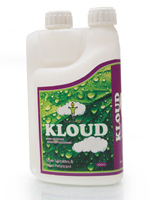 Kloud safeguards the performance of pesticides and foliar fertilizers. Penetrates the dust covered surface of the target plants. Wets and penetrates the waxy surface of weather-hardened plants. Improves coverage when spray volumes are reduced. Enhances the dissolution of solid formulations in the tank e.g. WG and WP. Not phytotoxic to crops when used as directed. 50 - 100 ml / acre. (0.25 - 0.50 ml / Lt water). Use as in-tank mix along with other agricultural inputs like agrochemicals, biological products, foliar fertilizers, etc. 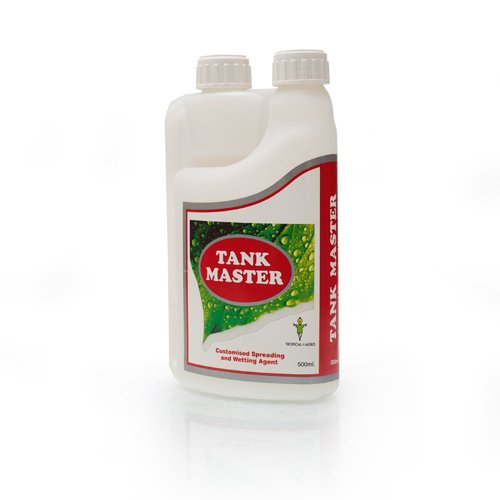 Tank master belongs to latest class of customized surfactants, addition of which, enables very good adhesion of spray droplets of widely used crop protection agents, through zippering action,stomatal infiltration and rainfastening, on the leaf surface. Regular use of Tank Master in crop protection, will significantly add on to the efficiency of pesticide sprays through enhanced crop coverage with minimum spray mass at low cost. 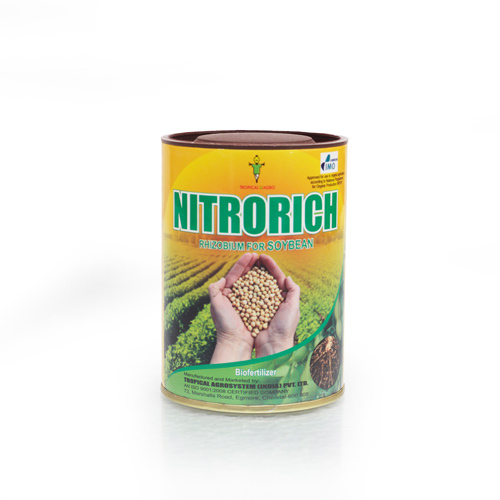 Used as a tank-mix adjuvant to enhance the effectiveness of pesticides and foliar fertilizers. Wets and penetrates the leaf cuticle through stomatal infiltration. 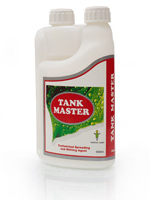 Tank Master safeguards the performance pesticides and foliar fertilizers. 50 ml / acre. (0.25 / Lt water). 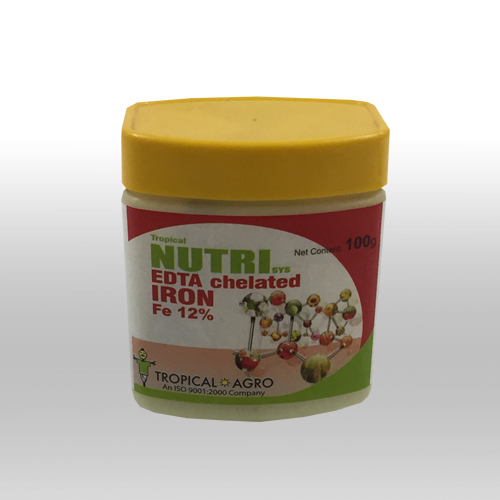 Use as in-tank mix along with other agricultural inputs like agrochemicals, foliar fertilizers, etc. 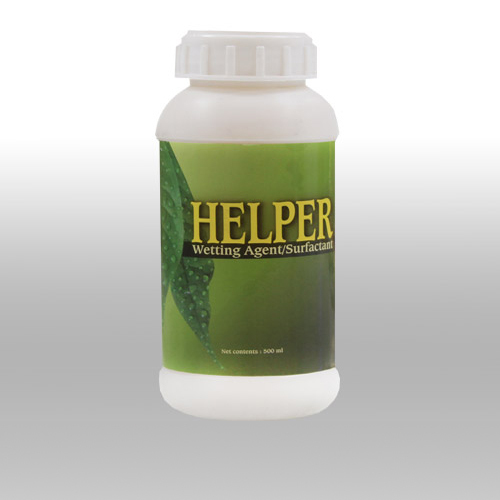 Helper is a highly effective wetting agent, which increases the efficiency of your pesticide application through enhanced spreading and sticking activity. 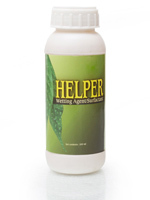 Helper binds herbicides to plants after spray as a surfactant. Helper penetrates the waxy coating of leaves on tough plants. Helper provides better coverage without excessive runoff. 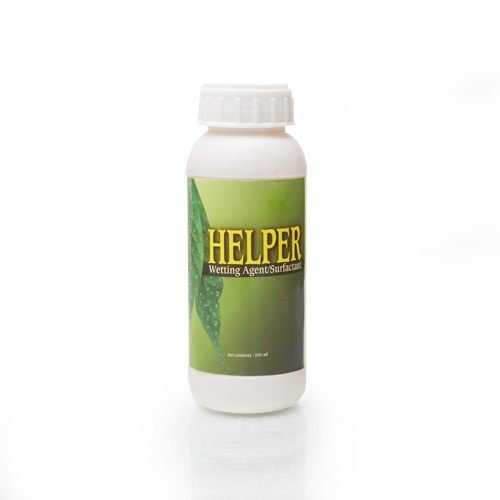 Helper improves the penetration of pesticides into the plant tissue. Helper makes the spray droplets more uniform to improve coverage. Mix required quantity of pesticide in water and stir well. To this solution, add 0.5ml - 1.0 ml of Helper / lt of water. Mix the solution thoroughly and pour into the spray tank and spray. Propel is a digester which contains unique mixture of composting microbes for activating the composting process, comprising of microbial enzymes, cellulose, starch, phenol and lignin digesting microbes to degrade the farm residues. It can be used for preparation of compost from different kinds of agricultural waste, domestic waste, municipal solid waste, vegetable and garden waste, leaf waste and wood clippings. The product contains most virulent strain of 8 different composting microbes. Effective in digesting and composting any biodegradable wastes. Make compost easy and faster. Eco-friendly and safe to environment and non-target organisms. One Lt of Propel is mixed with 20 Liter of 1 Kg jaggery solution. The container is closed tightly and kept for 2 days. 5L of the mixture per ton of the solid waste. 5L can be diluted with 200L water and applied uniformly to 1MT of Solid waste. Application of Propel is to be made at 2 stages. First spray at the time of dumping and the second, after 15 days. Make a heap of organic waste at 3 feet height and 3 feet breadth and convenient length depending upon the availability of the material. Spray the above prepared mixture solution uniformly. 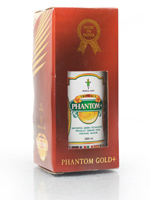 Phantom Gold+ contains 100% imported natural green technology product derived from organic manure. It helps in promoting both vegetative and reproductive growth in plants, resulting in higher yields. Balanced combination of active ingredients to promote growth. Enhances stomatal opening and chlorophyll synthesis. 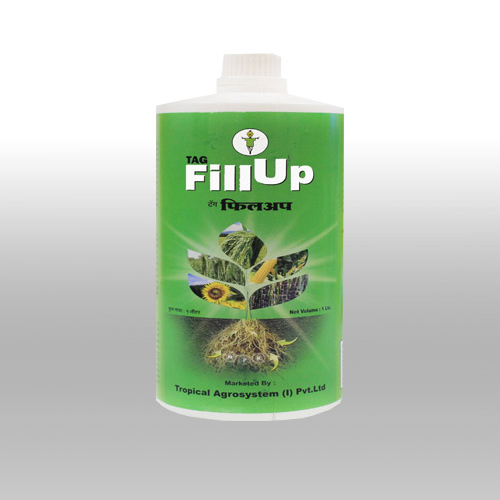 Tagflower-n is a plant stimulant and yield booster containing 24 % w/w nitrobenzene with non toxic specialty surfactants for enhanced cell permeability. 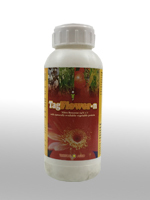 Tagflower-n facilitate transition phase from vegetative growth to flowering. Foliar spray 2-3 ml/ L water. 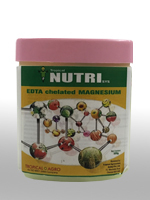 Prevents / corrects micronutrient deficiencies. Enhances size, weight and keeping quality of fruits and vegetables. 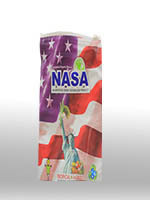 Available in 600 gm and 1200 gm LDPE pouches placed inside cartons. 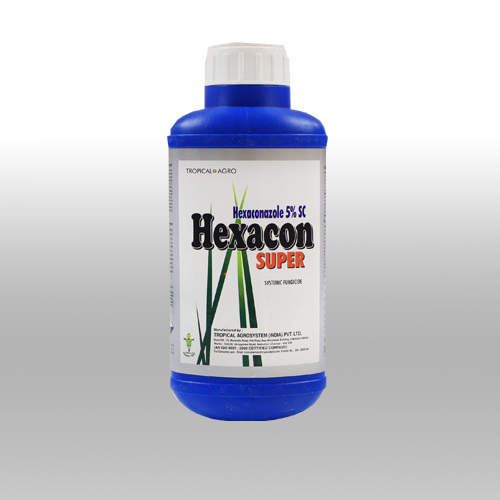 Hexacon Super, containing Hexaconazole 5% SC as active ingredient, is a systemic fungicide with protective and curative action. 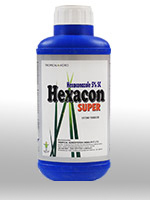 Hexacon Super is effective for the control of many fungi, particularly Ascomycetes and Basidiomycetes. 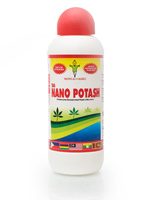 It is recommended for the control of powdery mildew of mango and sheath blight of rice. Available in 100 ml, 250 ml. 500 ml, 1 Litre and 5 Litre HDPE containers. 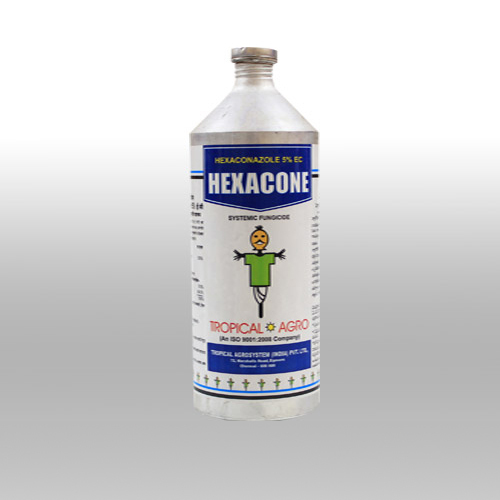 Hexacon is a systemic fungicide with protective and curative action, effective for the control of many fungi, particularly Ascomycetes and Basidiomycetes. 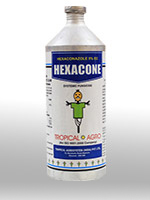 Hexacon is recommended for the control of Powdery mildew of grapes, pea and mango, Scab of apple, Blast and Sheath blight of rice, Tikka of groundnut and fruit and leaf spot of pomegranate. Available in 100 ml, 250ml, 500 ml,1 Litre and 5 Litre Aluminum container and 20 Litre MS drums. 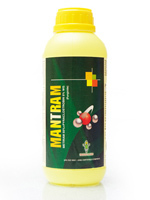 Mantram is a readymix combination fungicide containing Metiram 55% + Pyraclostrobin 5% WG. 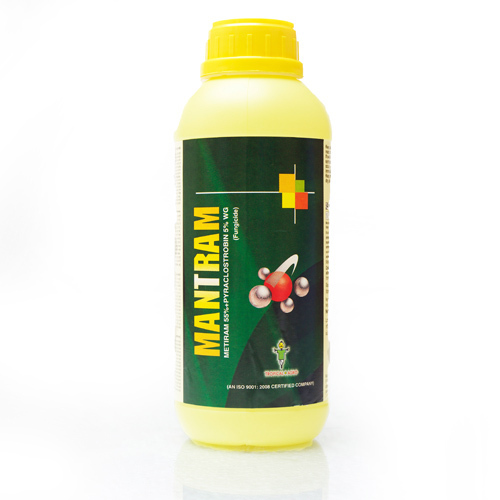 Mantram is a broad spectrum fungicide recommended for the control of Late Blight, Early Blight, Downy Mildew and Anthracnose diseases in various vegetable and horticultural crops. Available in 300 gm, 600 gm and 3 kg HDPE containers. 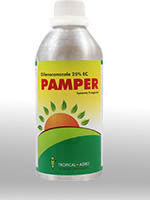 Pamper is a systemic fungicide containing the active ingredient, Difenconazole 25% EC. Tamper provides excellent action against diseases such as Apple Scab Sheath blight in Rice, Die back in Chilli etc. 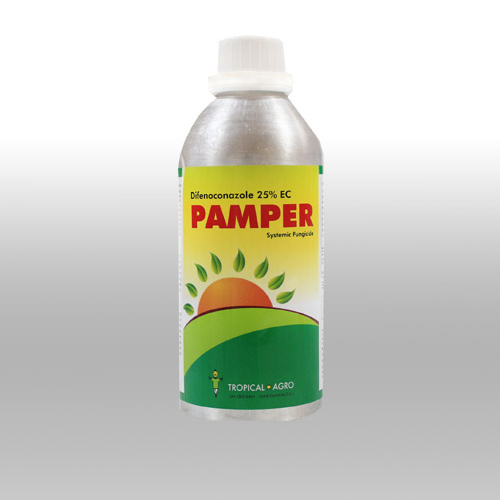 Pamper is taken up by the plant and acts on the fungal pathogen during penetration and haustoria formation. It stops the development of fungi by interfering with the biosynthesis of sterols in cell membranes. Tamper provides long-lasting preventive activity combined with curative and eradicant properties, fast uptake and good translaminar movement. Available in 50 ml,100 ml, 250ml, 500 ml and 1 Liter HDPE bottles. 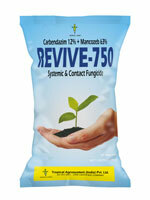 Revive is a very effective protective and curative fungicide. 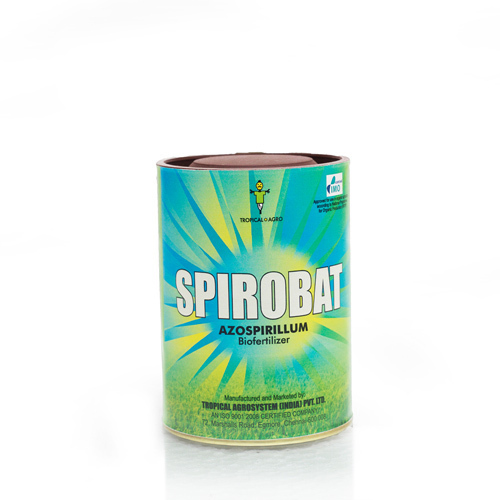 It has excellent broad spectrum activity and can be used for the control of a wide range of plant diseases. 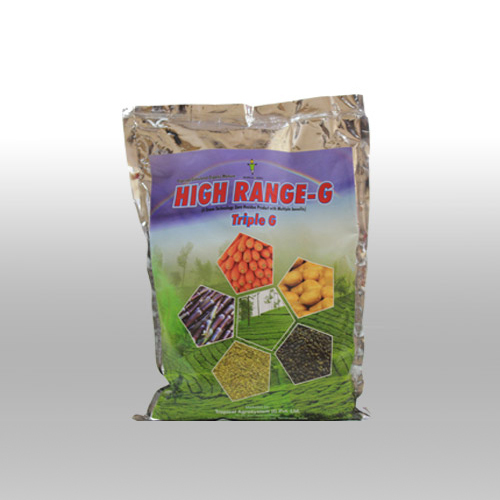 Available in 20 gm, 50 gm, 100gm, 250 gm, 500gm and1 kg in Trilaminate pouches. 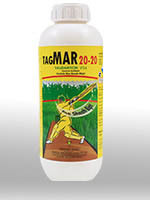 Tagmar 20-20 is a non-systemic antibiotic with fungicide action. It inhibits the enzyme trehalase which is very vital for the growth and activity of the fungal and bacterial pathogens. It also exhibits strong fungistatic activity against fungal pathogens. 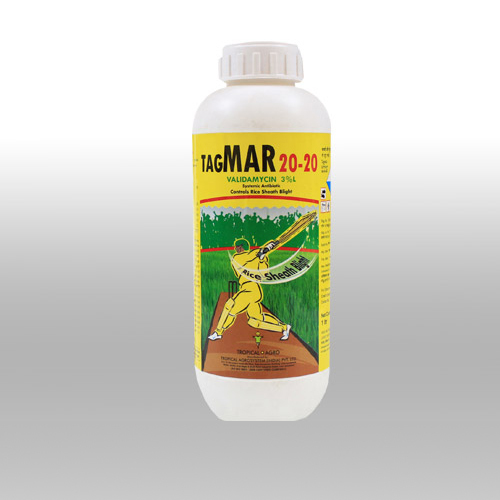 Tagmar 20 -20 is effective against several soil borne fungal diseases like Sheath blight of Rice caused by Rhizoctonia solani, vascular wilt in Tomato caused by Fusarium oxysporum, bacterial diseases such as cabbage black rot and cabbage soft rot caused by Xanthomonas campestris, etc. Available in 100ml, 250ml, 500ml,1Litre HDPE containers. Tagmil 72% W.P. 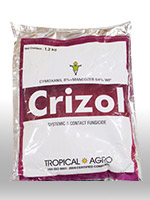 is a protectant fungicide containing a mixture of the systemic fungicide Metalaxyl and the contact fungicide Mancozeb. 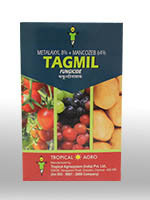 Tagmil contains 80 gm / kg. metalaxyl and 640 gm/kg. mancozeb. Tagmil ensures a double protection of the target plants during the period of active growth from the inside due to systemic activity of metalaxyl and from the outside due to contact activity of mancozeb. Available in 100gm, 250gm, 500gm and 1 kg pouch inside cartons. 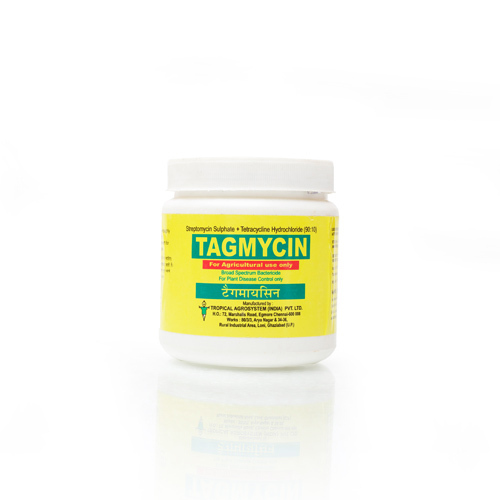 Tagmycin is a broad spectrum chemical bactericide which contains a combination of Streptomycin Sulphate + Tetracycline Hydrochloride 90:10 SP. It is recommended for selective control of bacterial disease of plants. 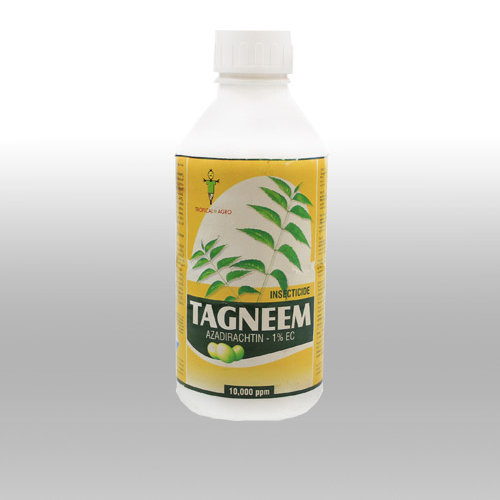 Tagmycin is very effective when applied after the crop is infected and hence has good curative action against bacterial infection in plants. Chillies and tomatoes Black Spot 6 g in 60 to 120 Lt. water 1st spray after 30 days of sowing 2nd spray 30 days after transplanting and 3rd spray at fruiting. Potato Brown rot 6 g in 60 to 120 Lt. water Dip cut potato pieces for half an hour before planting. 1st spray 20 days after planting and 2nd spray after 15 days of 1st spray. Cucumber Leaf Spot 6 g in 120 Lt. Spray 2 to 3 times at 15 days gap. First spray 30 days after sowing. Cotton Angular leaf	6 g in spot & black arm 6gm in 60 Lt. water 6 gm in 120 Lt. water Soak 12-15 Kg. seed in the solution for at least two hours and then sow. Three sprays at twenty days gap. First spray 30 days of sowing. Citrus Citrus Canker 6 g in Spray as soon as Canker spots are seen on the leaves & fruits. Grapes sugarcane Mango Etc. Bacterial Disease 6 g in 60-120 Lt. water. In certain regions bacterial diseases are reported in these crops. 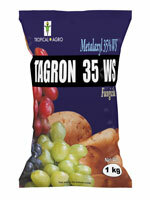 Tagron contains metalaxyl 35 WS as active ingredient. 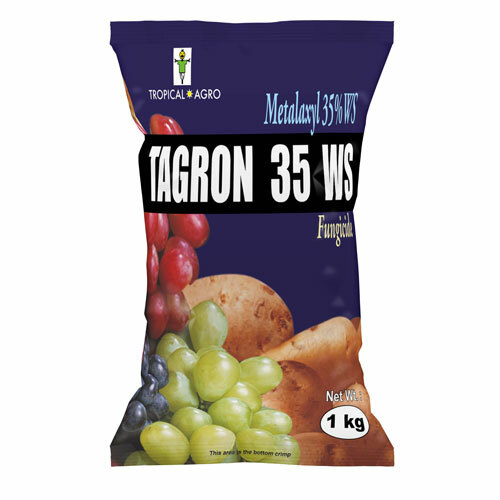 Tagron is a systemic, benzenoid seed dressing fungicide used specifically for the control of systemic downy mildew diseases. It is also very effective for the control of pre-emergent and post-emergent damping off diseases caused by Pythium and Phytophthora. 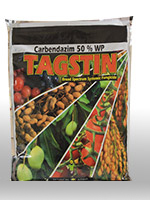 Tagstin is a systemic fungicide containing Carbendazim 50% WP. Tagstin controls a wide range of Ascomycetes, fungi imperfecti, numerous Basidiomycetes on cereals, cotton, fruits, grapes, bananas, ornamentals, plantation crops, soybeans, tobacco, turf, vegetables, mushrooms and several other crops. Available in 100 gm, 250 gm, 500 gm and 1 kg Trilaminate pouches. 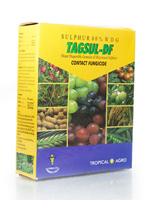 Tagsul is a non-systemic contact and protectant fungicide with secondary acaricidal activity. 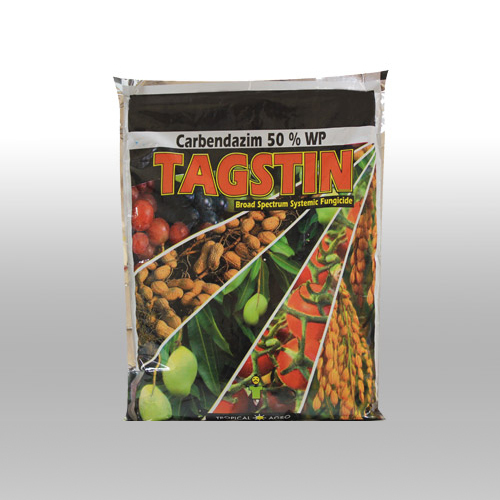 Tagsul is used for control of brown rot, powdery mildew,scab, leafspot, mildew on roses and mites on several fruits and vegetables. Crop Name Disease Name A.I (%/ gm ) Dosage / per Ha. Formulation ( gm ) Dosage / per Ha. Dilution in water (Litres) Dosage / per Ha. Note: Sulphur is not recommended for application on sulphur "shy" vegetables e.g. cucurbits etc. Application of sulphur will be phytotoxic to certain variety of apples, pears and other fruits under high temperature conditions (85 deg F or 30 deg. C). Available in 1 kg carton, 3 kg, 5 kg, 10 kg and 25 Kg LDPE bags. Available in 25 gm, 50 gm, 60 gm, 100gm,120 gm and 250 gm, Trilaminate pouches. 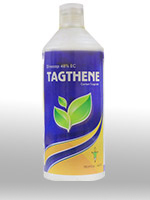 Tagthene is a fungicide containing the active ingredient, dinocap 48% EC. 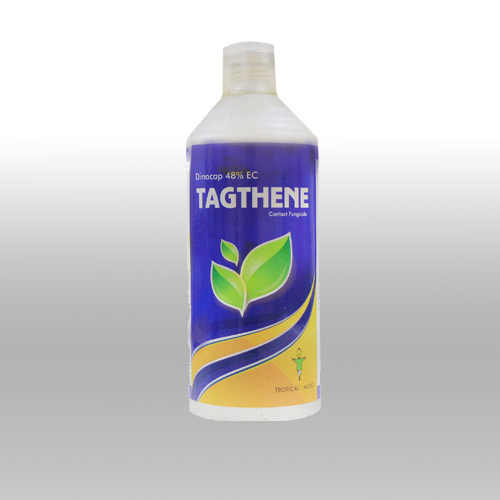 Tagthene is a contact fungicide which provides both protective and curative activities against powdery mildews, fruit rots, stem rots, leaf spots, brown rots, etc, in a wide range of crops including pome fruits, citrus, vines, hops, ornamentals and berries. Dinocap inhibits germination of spores and growth of fungal mycelium. The degrardation of dinocap to nitrophenol is active against the fungi. Available in 100ml, 250ml, 500 ml and 1 Liter Aluminum containers. 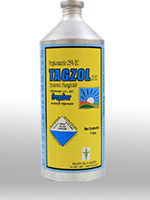 Tagzol is a triazole fungicide that has protective, curative and systemic activity. It is a foliar fungicide with broad range of activity against Powdery Mildew, Septoria Blotch, Eyespot, Rusts, Leaf scald, Leaf spot and Blister blight. Tagzol can be used on wheat, maize, rice, groundnut, soybean, tea, banana, coffee, sorghum, mushrooms and several other fruit and vegetable crops. 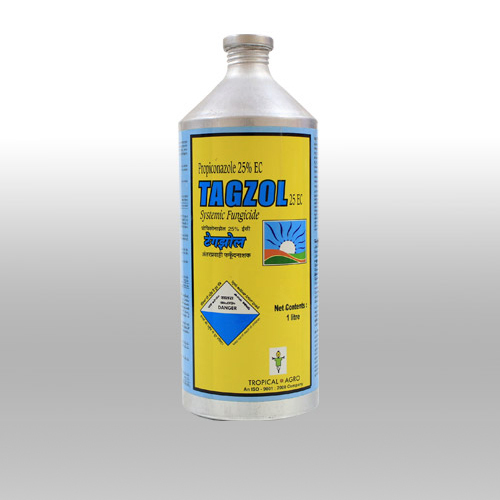 During ergosterol biosynthesis, Tagzol prevents the formation of cell walls of disease causing fungi. This slows the growth of the fungus thus preventing further infection and invasion of host tissues by the fungus. 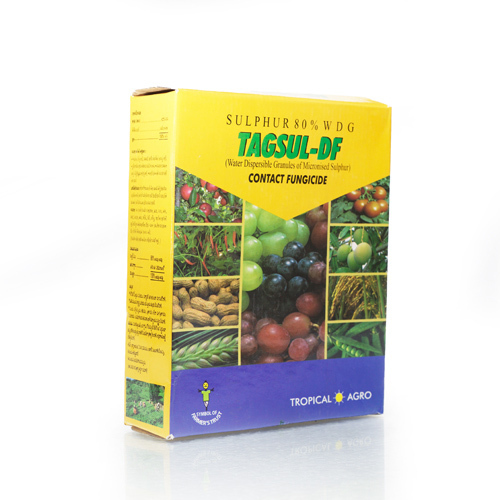 Tagzol is considered as a good fungistatic or growth inhibiting fungicide. Available in 100 ml, 250 ml, 500 ml, 1 Litre and 5 Litre in PET and Aluminum containers. 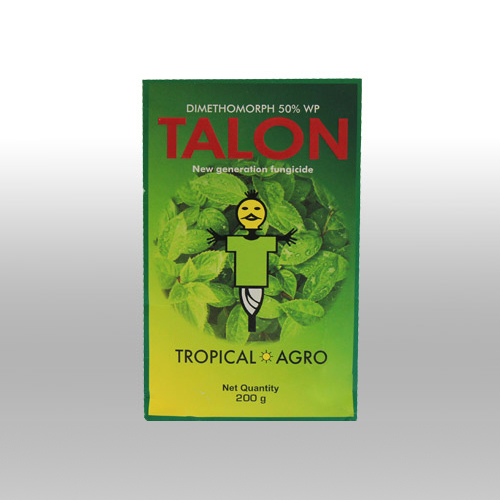 Talon is fungicide containing the active ingredient, dimethomorph 50% WP. 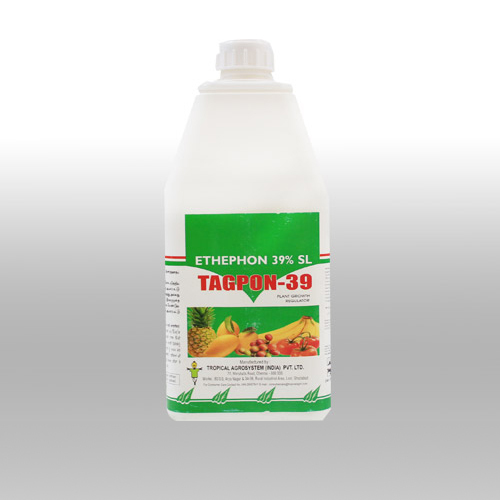 It is a systemic protectant and an antisporulant fungicide belonging to the morpholine class.The mode of action of Talon is through inhibition of ergosterol synthesis. 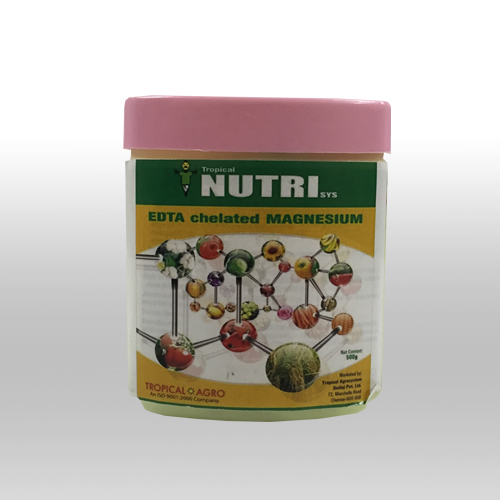 Ergosterol is the major sterol in most fungi which is essential for membrane structure and function. Available in 100 gm and 200 gm trilaminate pouches placed inside cartons and 1 kg trilaminate pouches. Temper is a systemic triazole fungicide containing Tebuconazole 25.9% EC as active ingredient. 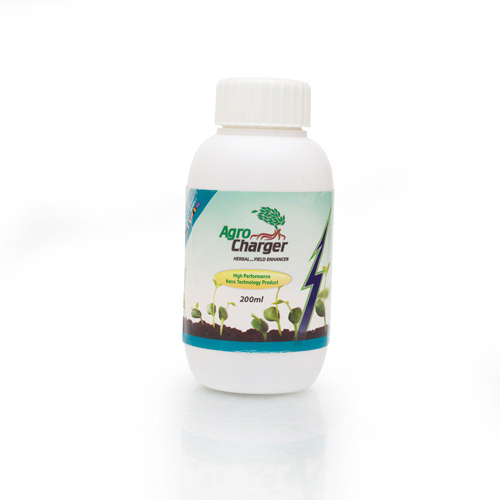 Temper is used as a foliar spray for the control of powdery mildew and fruit rot of chillies, leaf spot and rust diseases in Groundnut and sheath blight in Rice. 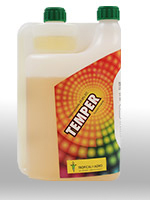 Temper is a Preventive, Curative & Eradicative Action fungicide. 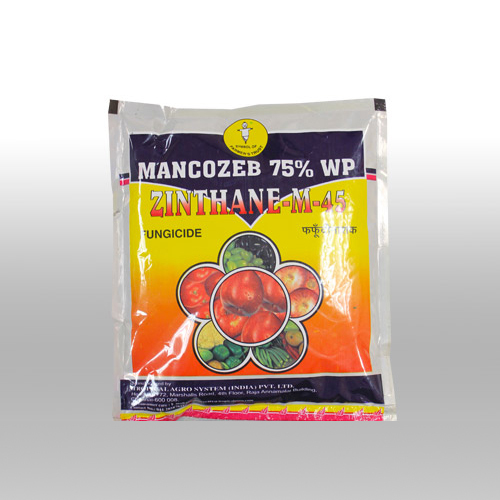 Zinthane is a protective fungicide which contains Mancozeb 75 % active Ingredient. Zinthane is used to prevent crop damage in the field and to protect harvested crops from deterioration in storage or transport. 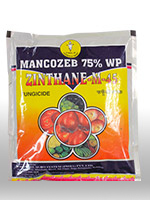 Zinthane is used to protect many fruit, vegetable, nut and field crops against a wide spectrum of diseases, including potato blight, leaf spot, scab (on apples and pears) and rust (on roses). Crop Disease A.I (%/ gm ) Dosage /Ha. Formulation ( gm ) Dosage /Ha. Dilution in water (Litres) Dosage /Ha. Name of Crop Name of the Weeds AI (kg) Dosage / per Ha. Formulation(kg) Dosage / per Ha. Dilution in water (Litres.) Dosage / per Ha. Waiting period in days Dosage / per Ha. 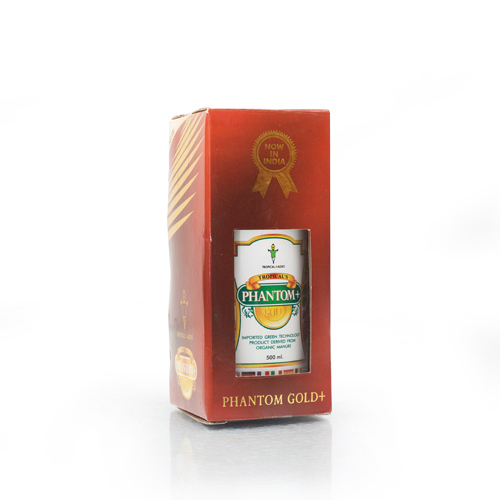 Available in 100 gm, 250 gm and 500 gm trilaminate pouches inside cartons. 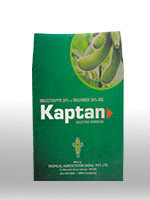 Kaptan is a selective post-emergence herbicide containing a combination of Imazethapyr 35% + Imamox 35% WG. When Kaptan herbicide is applied early post-emergence, absorption may occur through both the roots and foliage. Susceptible weeds stop growing and eventually die. Kaptan acts by inhibition of acetyl CoA carboxylase ACCase. These chemicals block an enzyme called ACCase. This enzyme helps the formation of lipids in the roots of grass plants. Without lipids, susceptible weeds die. Available in 40 gm, 100 gm HDPE bottle and 200 gm carton. 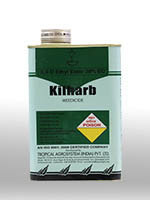 Kilharb is a soluble powder formulation containing 2,4-D, Sodium Salt technical. 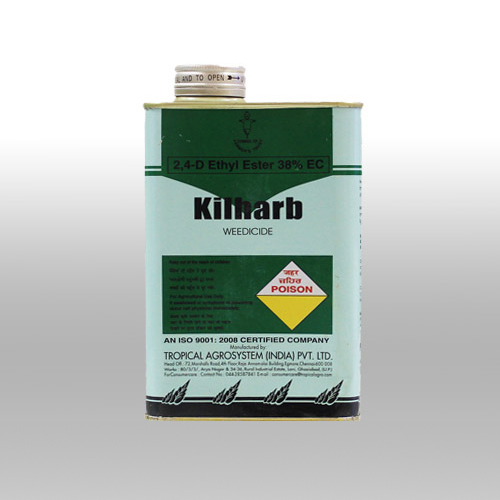 (2,4-D acid 80 % w/w ) Kilharb is effective against wide range of broadleaved weeds in crops like Sugarcane, Wheat and Grapes. Wheat : Blanket spray 25-28 days after sowing. Grapes : post – pruning during dormant periods as directed spray. 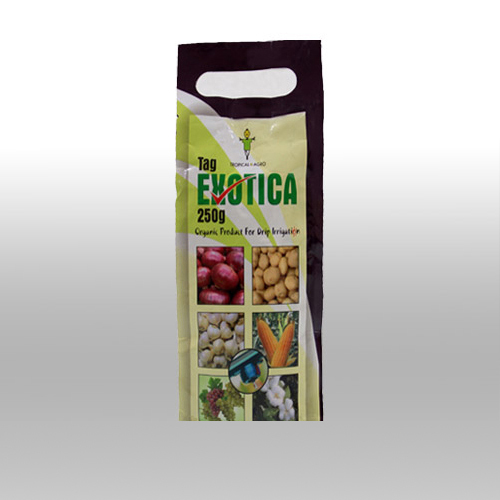 Available in 500 gm LDPE pouch in carton. Available in 250 ml, 500 ml and 1 Litre tin containers. Nova Super is a post emergent herbicide containing Fenoxaprop-p-ethyl 9.3% w/w EC (9% w/v). Nova Super is a selective grass herbicide very useful for control of weeds in a wide range of crops. 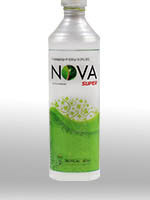 The mode of action of Nova Super is through inhibition of the synthesis of fatty acids in merstematic tissues. 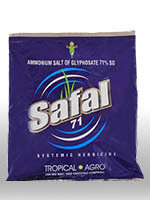 Safal is a broad-spectrum, non-selective systemic herbicide containing Glyphosate 41% ai. It is useful on essentially all annual and perennial plants including grasses, sedges, broad-leaved weeds and woody plants. 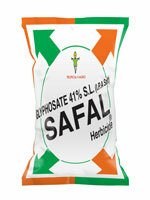 Safal can be used on non-cropland and among a great variety of crops. Safal is effective against annual and perennial grasses and broadleaf weeds in tea. 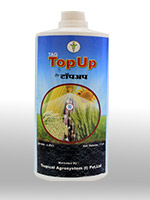 Tea & non crop area:- Apply as directed spray when the weeds are young and actively growing. Available in 250ml, 500ml,1 Litre, 5 Litre and 20 Litre HDPE containers. 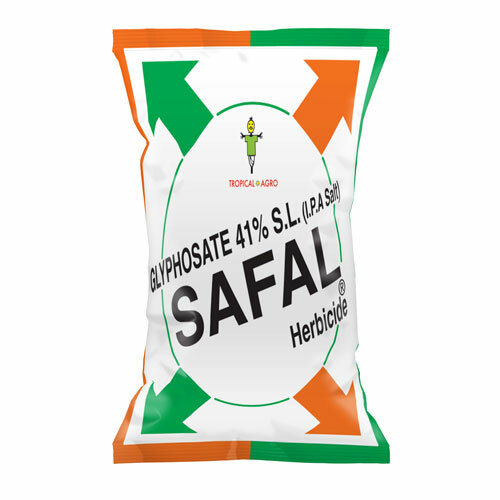 Safal 71% SG is a non-selective, post-emergence herbicide for the control of annual, perennial, broadleaf and grassy weeds. 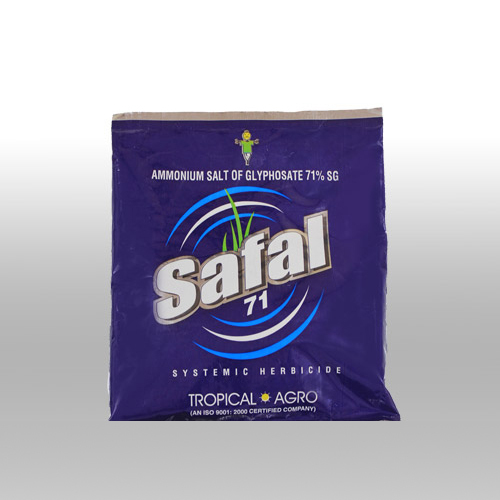 Safal 71% SG, when applied to foliage reaches the roots and rhizomes of the plant by the process of translocation, thus destroying the weeds from below the plant. It is especially effective against the difficult to control weeds. 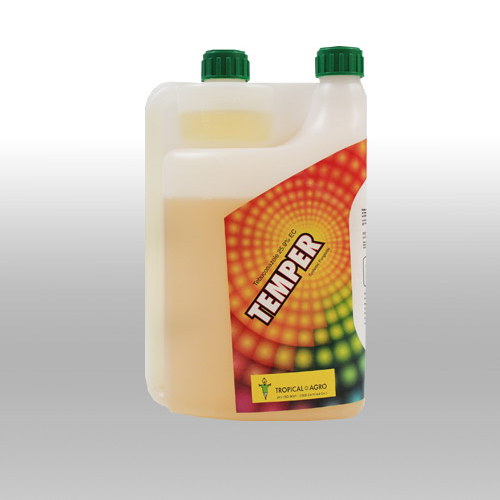 Tea & non crop area : Apply as directed spray when the weeds are young and actively growing. Available in 100 gm and 1 Kg trilaminate pouches. Tag Globe is a selective herbicide containing Oxyfluorfen as active ingredient 23.5% w/w. 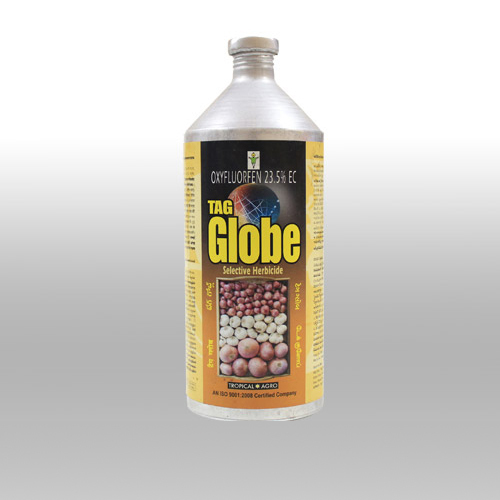 Tag Globe is a diphenyl-ether herbicide used for broad spectrum pre- and post-emergent control of annual broadleaf and grassy weeds in Rice, Tea, Potato, Onion and Groundnut and other field crops. 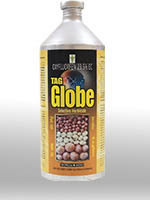 Tag Globe kills weeds by destroying cell membranes within leaves and shoots. Available in 50 ml, 100 ml, 250 ml, 500 ml and 1 Litre Aluminum bottles. 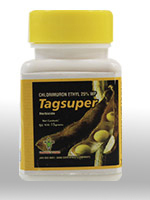 Tag Super is a post emergent Sulfonylurea herbicide containing Chlorimuron Ethyl 25% WP. 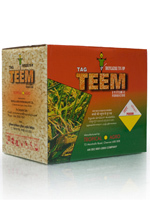 Tag Super exhibits both contact and residual soil activity against many broad leaf weeds and sedges. Once taken up by a susceptible species, either through the foliage or the roots, the herbicide is rapidly translocated through the plant, inhibiting shoot and root growth of weeds. Susceptible weed plants will cease to grow immediately after post emergence treatment and are killed within 7-14 days. 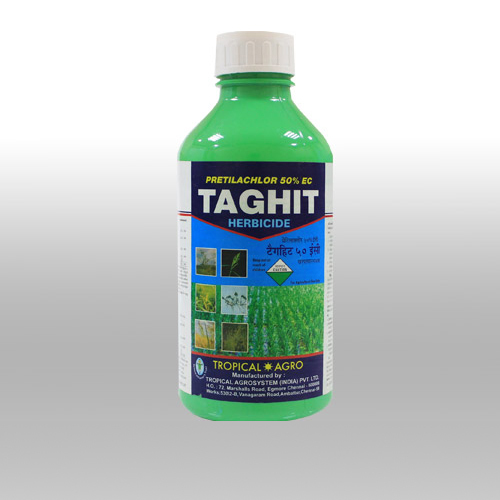 TAGHIT is a selective pre-emergence broad spectrum herbicide with excellent action against annual grasses, sedges and broadleaved weeds. It contains 500g per litre of emulsifiable concentrate (EC) formulation. Name of Crop Name of the Weeds AI (kg) Dosage / per Ha. Formulation(Litre) Dosage / per Ha. Dilution in water (Litres.) Dosage / per Ha. Waiting Period from last spray to harvest (days) Dosage / per Ha. Available in 100 ml, 250 ml, 500 ml,1 Litre and 5 Litre PET bottles. 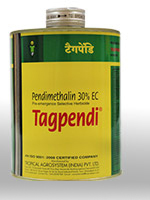 Tagpendi is a selective herbicide containing pendimethalin as active ingredient 30% w/w. 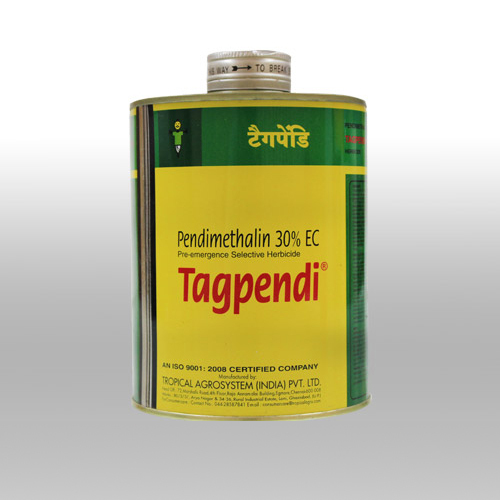 Tagpendi is a dinitroaniline (DNA) herbicide that effectively controls a broad spectrum of annual grasses and broad-leaved weeds in Wheat, Rice, Cotton, Soybean, Groundnut, Chillies, Onion and a wide range of other crops. The primary mode of action of Tagpendi is to stop plant cells dividing and elongating in susceptible species. Best control of target weeds is achieved by application to soil prior to germination and before weeds emerge. Weeds die shortly after germination or soon after emergence from the soil. Name of Crop Name of the Weeds AI (kg) Dosage / per Ha. Formulation(Litre) Dosage / per Ha. Dilution in water (Litres.) Dosage / per Ha. Waiting period in days Dosage / per Ha. Available in 250 ml, 500 ml, 1Litre and 5 Litre Tin containers. 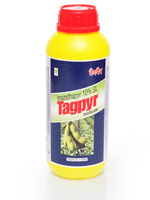 Tagpyr is a herbicide based on the active ingredient Imazethapyr. 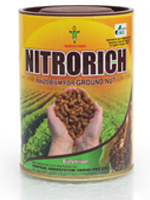 It is recommended for use in Soybean and Groundnut for control of annual grasses and broad leaf weed. Tagpyr application causes a disruption in protein synthesis which, in turn, leads to an interference in DNA synthesis and cell growth. Tagpyr is applied early post emergence. Absorption may occur through both the roots and foliage of susceptible weeds which stop growing and eventually die. The weed killing activity of Tagpyr involves herbicide uptake by weed roots and rapid translocation to the growing points. Therefore, adequate soil moisture is important for optimum Tagpyr activity. Addition of a non-ionic surfactant and liquid fertilizer is essential for postemergence application, improving uptake of the product by weeds resulting in improved herbicidal activity. Crop Common & Scientific Name of Weeds AI (gm) Dosage / per Ha. Formulation(ml) Dosage / per Ha. Dilution in water (Litres.) Dosage / per Ha. Waiting Period from last spray to harvest (days) Dosage / per Ha. Tagyr should be applied as early post emergence application before the weeds reach the 3 true leaf stage. Available in 250 ml, 500 ml and 1litre HDPE bottles. 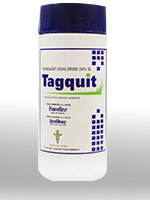 Tagquit is a quartenary nitrogen herbicide containing Paraquat dichloride 24% SL widely used for weed control. It is a quick acting, non-selective compound, that destroys green plant tissue on contact and by translocation within the plant. 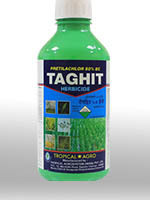 Tagquit is also used as a crop desiccant and defoliant, and as an aquatic herbicide. Tagquit is inactivated on contact with soil. Rubber (Post-emergence directed inter row application at 2-3 leaf stage of weeds) Digitaria sp., Eragrostis sp., Fimbristylis sp. 0.3-0.6 kg 1.5-2.5 600 N.A. Rice [pre-plant (minimum tillage) before sowing/transplanting for controlling standing weeds] Echinochloa crusgalli, Cyperus iria, Ageratum conyzides, Commelina benghalensis, Marsilea quadriofoliata, Brachiaria mutica 0.3-0.8 kg 1.25-3.5 500 N.A. Apple(Post-emergence directed inter row application at 2-3 leaf stage of weeds) Rosa moschata Rosa eglantaria Rubus ellipticus 0.75 kg 3.25 ltrs 700-1000 N.A. Available in 250ml, 500ml, 1Litre, 5 Litre and 20 Litre HDPE containers. 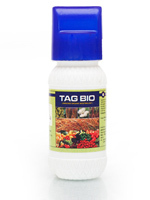 Tagrip is selective herbicide containing Metsulfuron methyl 20% WP as active ingredient. 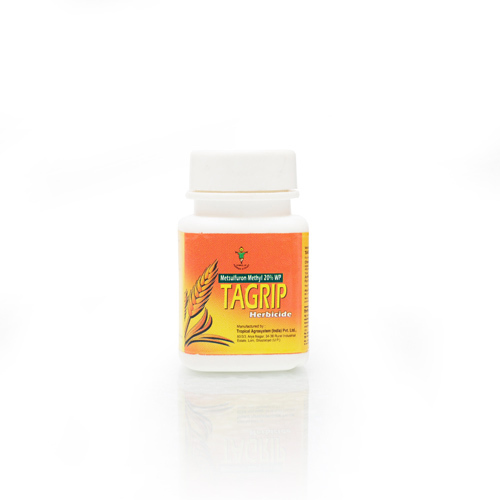 Tagrip is a residual sulfonylurea compound used as a selective pre- and post emergence herbicide for broadleaf weeds and some annual grasses. It is a systemic compound with foliar and soil activity, and it works rapidly after it is taken up by the plant. Its mode of action is by inhibiting cell division in the shoots and roots of the plant, and it is biologically active at low use rates. Available in 8 gm HDPE container with 200 ml surfactant in HDPE container inside carton. 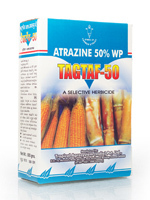 Tagtaf is a herbicide containing Atrazine 50% WP as active ingredient. 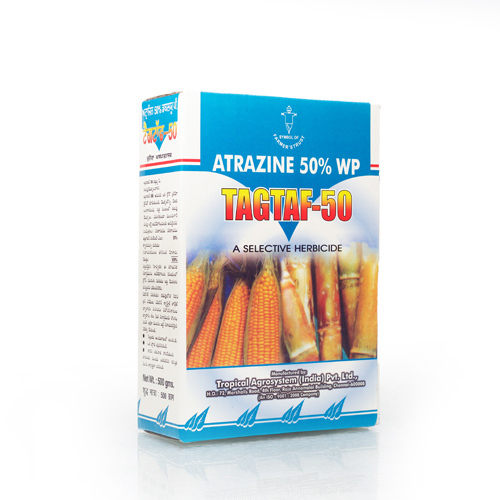 Tagtaf is a selective triazine herbicide used to control broadleaf and grassy weeds in corn, sorghum, sugarcane, pineapple and other crops. It is also used as a non-selective herbicide on non-cropped industrial lands and on fallow lands. Maize : Immediately after sowing (pre-emergence). Sugarcane: Pre-emergence on weed free soil. Available in 500 gm LDPE pouches in cartons. 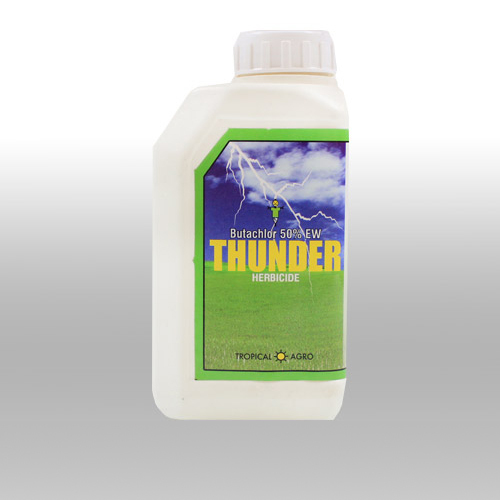 Thunder is a pre emergence, selective, systemic herbicide containing the active ingredient, Butachlor 50% EC.Thunder belongs to the Chloroacetamid chemical family and its mode of action is through inhibition of cell division. 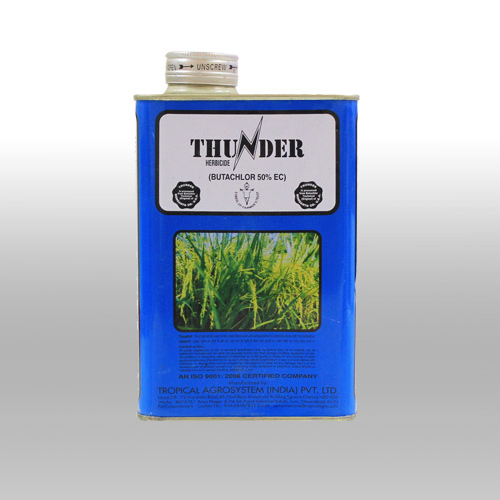 Thunder is used to control germinating annual weeds, especially grasses. The primary mechanism of action is through interference with nucleic acid and protein synthesis. Thunder is absorbed primarily through germinating shoots and secondarily by roots. Translocated throughout the plant, with higher concentration in the vegetative parts than the reproductive parts. Apply within 4 days after transplanting and in direct seeded rice 10-12 days after emergence of weeds. Available in 500 ml,1 Litre and 5 Litre HDPE containers. 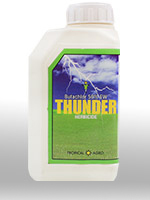 Thunder is a pre emergence, selective, systemic herbicide containing the active ingredient, Butachlor 50% EC. Thunder belongs to the Chloroacetamid chemical family and its mode of action is through inhibition of cell division. 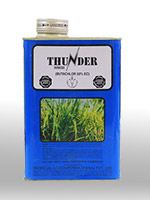 Thunder is used to control germinating annual weeds, especially grasses. The primary mechanism of action is through interference with nucleic acid and protein synthesis. Thunder is absorbed primarily through germinating shoots and secondarily by roots. Translocated throughout the plant, with higher concentration in the vegetative parts than the reproductive parts. Available in 500 ml, 1 Liter and 5 Litre Tin containers. Action 500 is an organophosporous insecticide containing Chlorpyrifos 50 %EC as active ingredient. 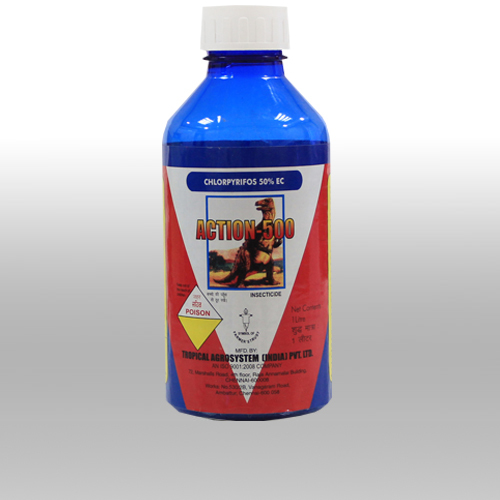 Action 500 is a broad spectrum insecticide used to kill a wide variety of insects. Action 500 is effective in controlling cutworms, corn root worms, root grubs, flea beetles, caterpillars, etc. It is used as an insecticide on cereals, cotton, field, fruit, nut and vegetable crops, and well as on lawns and ornamental plants. Action 500 acts on pests primarily as a contact poison, with some action as a stomach poison. Available in 50 ml,100 ml, 250ml,500ml,1 litre and 5 litres PET bottles. 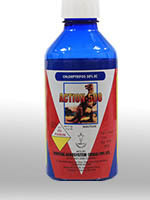 Action 505 is an insecticide which is a combination of two active ingredients, chlorpyrifos and cypermethrin. The former belongs to phosphorothioate group of organophosphorus pesticides and the later is a synthetic pyrethroid. Action 505 affects both the axonic and synaptic transmission of the nerve impulses in the insect nervous system. 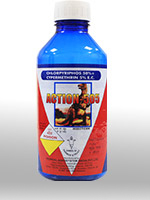 Action 505 is a broad spectrum contact and stomach poison, with fumigant action. Available in 100ml, 250ml, 500ml, 1 Litre and 5 Litre PET bottles. 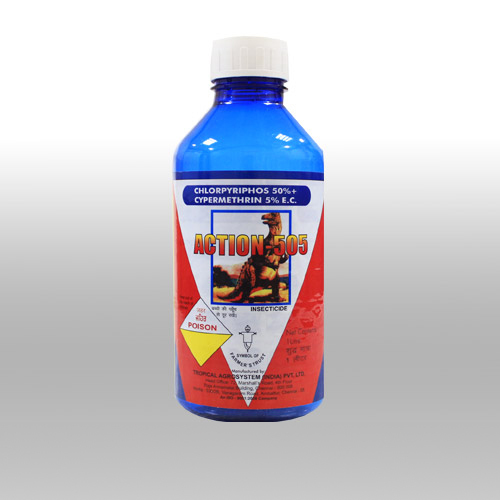 Action Super is a pyrethroid insecticide containing permethrin 25% EC. 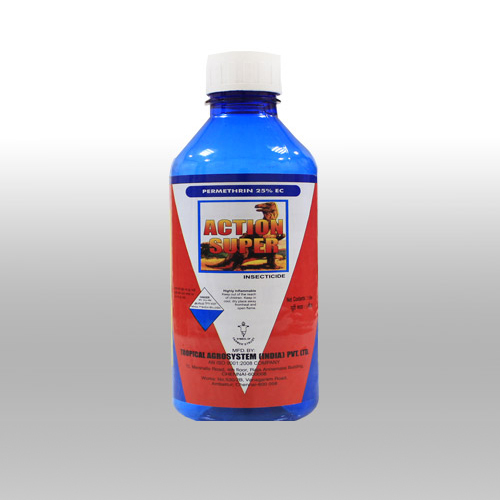 Action Super is a broad spectrum insecticide, used against a variety of pests, on fruit, vegetable, cotton, ornamental, mushroom, potato, and cereal crops. 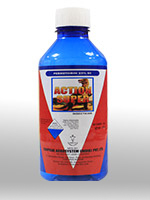 Action Super has both acute contact action and is also a stomach poison. Available in 100 ml, 250ml, 500ml,1 Litre and 5 Litre PET bottles. 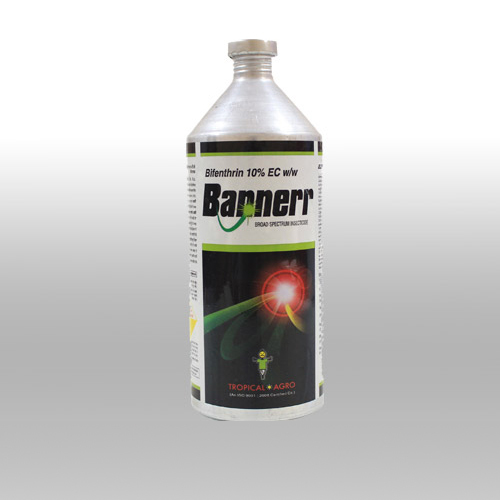 Bannerr is an insecticide containing Bifenthrin 10% EC, belonging to the pyrethroid group of insecticides. Bannerr is effective by contact or ingestion. Bannerr is a Type I pyrethroid that affects the central and peripheral nervous system by interfering with sodium channel gating. 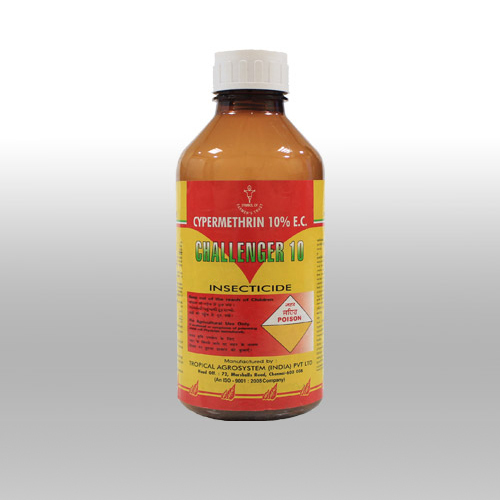 Challenger 10 EC is a synthetic pyrethroid insecticide containing 100gm (m/m) of cypermethrin as active ingredient per kilogram of formulated material. 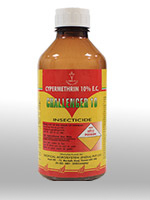 Challenger 10 EC is a contact action insecticide and has quick knock down action. It also acts as a stomach poison. Challenger is very effective for the control of a broad spectrum of sucking and caterpillar pests on a wide range of field, vegetables and horticultural crops. Available in 50ml, 100 ml, 250ml, 500ml,1 Litre and 5 Litre PET bottles. 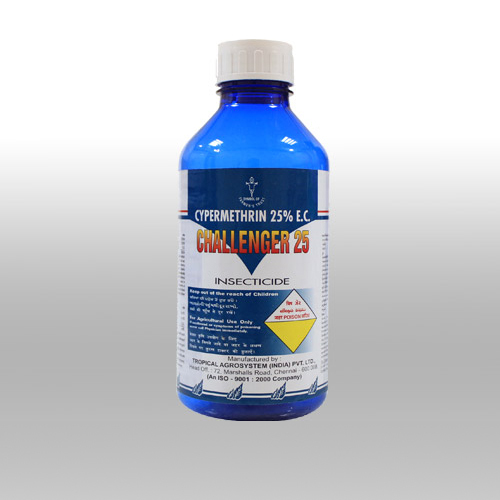 Challenger 25 is a synthetic pyrethroid insecticide containing 250gm (m/m) of cypermethrin as active ingredient per kilogram of formulated material. 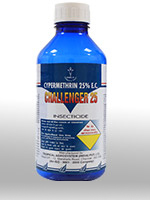 Challenger 25 is a contact action insecticide and has quick knock down action. It also acts as a stomach poison. Challenger 25 is very effective for the control of a broad spectrum of sucking and caterpillar pests on a wide range of field, vegetable and horticultural crops. 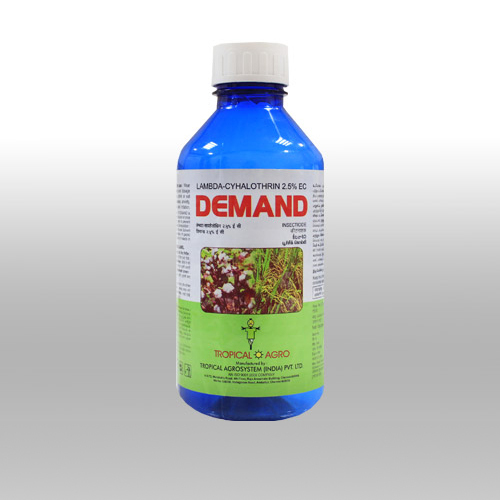 Demand is a synthetic pyrethroid insecticide and acaricide containing Lambda-cyhalothrin 2.5% as active ingredient. 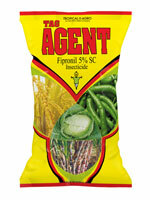 Demand is used to control a wide range of pests in a variety of applications. Pests controlled include Jassids, beetles and caterpillars. 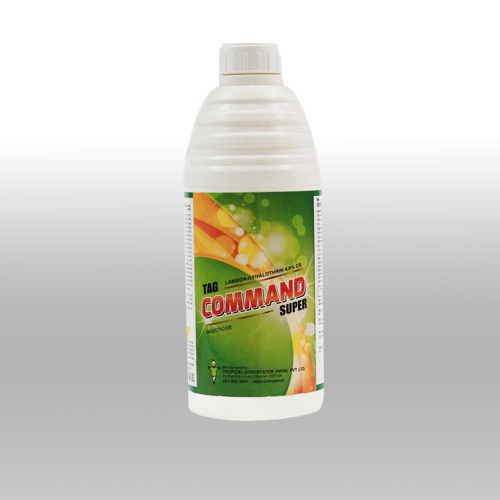 Demand is a contact, residual and stomach acting insecticide with repellency properties. Available in 100 ml, 250 ml, 500 ml, 1 Litre and 5 Litre PET bottles. 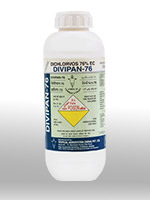 Divipan is an insecticide containing Dichlorvos ( DDVP ) as active ingredient. It is used to control agricultural, household, public health, and stored product insects. 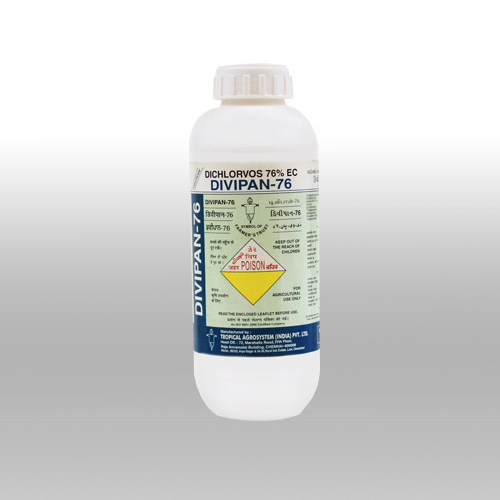 Divipan is effective against aphids, spider mites, caterpillars, thrips, and white flies in greenhouse, outdoor fruit, and vegetable crops. It acts against insects as a contact and a stomach poison and has fumigant action also. 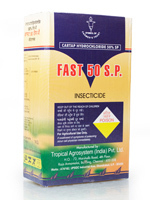 Fast belongs to a novel class of insecticide and contains Cartap hydrochloride as active ingredient. Fast is a derivative of nereistoxin which is a naturally occurring insecticidal substance isolated from the marine segmented worms. 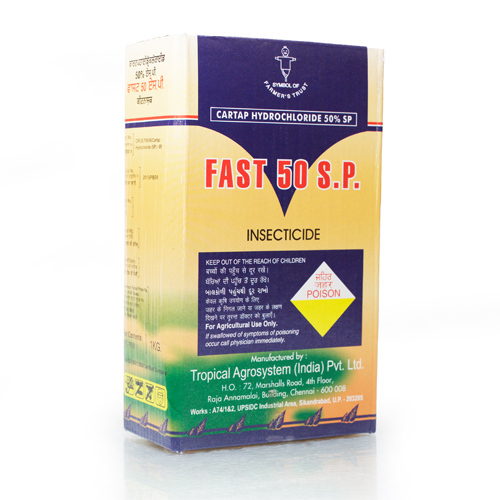 Fast 50 SP is a systemic insecticide with contact and stomach poison activity. It is very effective for the control of chewing and sucking insects (particularly Lepidoptera and Coleoptera), on many crops, including rice, potatoes, cabbage and other vegetables, soybean, peanuts, sunflowers, maize, citrus fruit, ginger, tea, cotton, and sugar cane. Available in 25 gm, 50gm,100gm, 250 gm, 500 gm and 1 Kg trilaminate pouches. 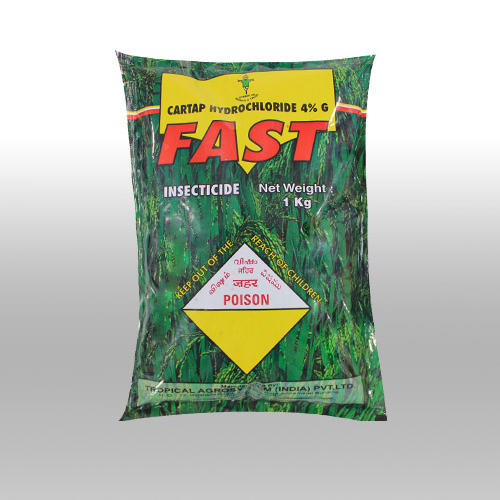 Fast 4 G belongs to a novel class of insecticide and contains Cartap hydrochloride as active ingredient. Fast is a derivative of nereistoxin which is a naturally occurring insecticidal substance isolated from the marine segmented worms. 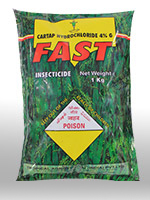 Fast 4G is a systemic insecticide very effective for the control of chewing and sucking insects (particularly Lepidoptera and Coleoptera), at almost all stages of development, on many crops, including rice, soybean, ginger and sugar cane. Available in 1 kg and 5 kg LDPE bags with outer trilaminate pouches. 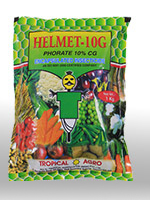 Helmet is an organophosphorus insecticide and acaricide that controls pests by systemic, contact, and fumigant action. It is used against sucking and chewing insects, leafhoppers, leafminers, mites, some nematodes and rootworms. Helmet is used in root and field crops, including rice, corn, cotton, coffee, some ornamental and herbaceous plants and bulbs. 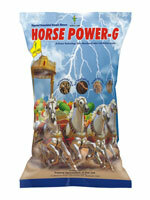 Available in 1kg and 5 kg in trilaminate pouches. 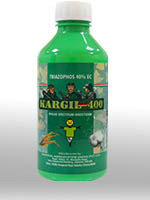 Kargil is an insecticide containing the active ingredient Triazophos 40% EC. It has a broad spectrum of activity with quick knock down and residual toxicity against bollworms and whiteflies on cotton and stem borer, leaf folder green leaf hopper, hispa on rice. 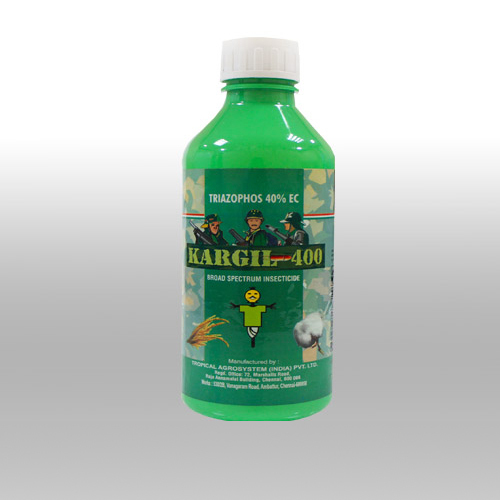 Kargil is a contact and stomach poison insecticide. 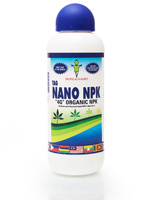 It is non-systemic, but penetrates deeply into the plant tissues. Available in 100 ml, 250 ml, 500 ml and 1 litre Tin and PET containers. 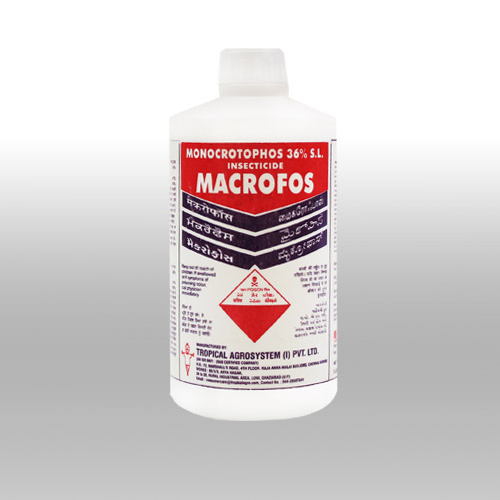 Macrophos is an organophosphorus insecticide and acaricide which has both strong systemic and contact action. 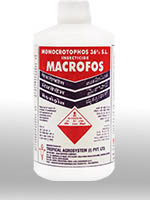 Macrophos is used to control a variety of sucking, chewing and boring insects and spider mites on cotton, sugarcane, groundnut, ornamentals, and tobacco. Warning: Banned for use on vegetables. Available in 100ml, 250ml, 500ml,1Litre and 5 Litre HDPE containers. 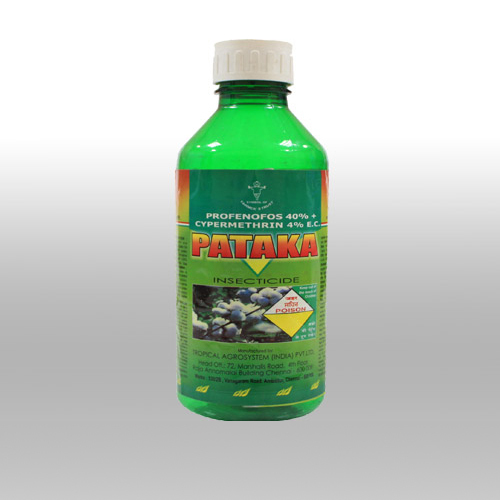 Pataka is a foliar insecticide with acaricidal properties for use in cotton and several other crops. 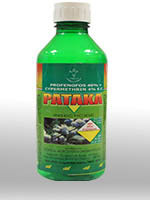 Pataka contains 400g Profenofos + 40g Cypermethrin per liter of emulsifiable concentrate formulation. The mixture of Profenofos + Cypermethrin has been found to be synergistic in activity especially against resistant Heliothis. Pataka provides good control of a range of lepidopterous pests as well as sucking pests like whiteflies, aphids, jassids and mites. Available in 100 ml, 250ml, 500ml 1 Litre and 5 Litre PET containers. 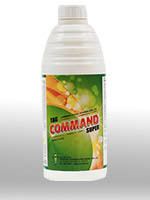 Tag Command Super is a synthetic pyrethroid insecticide containing Lambda-cyhalothrin 4.9 % CS. 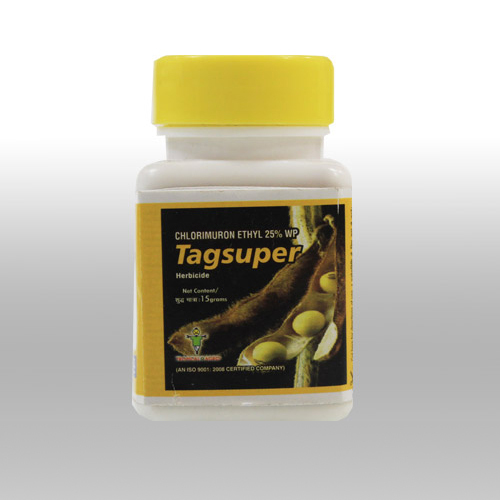 Tag Command Super is a capsule suspension formulation. The active ingredient is sealed in a tiny-thin walled capsule suspended in water and is released only when the spray deposit dries on the target pest and leaf surface. 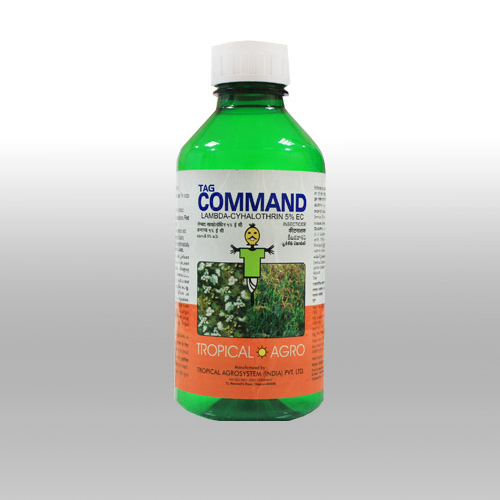 Tag Command Super offers reduced toxicity hazard while spraying, improved residual activity and environmental safety. 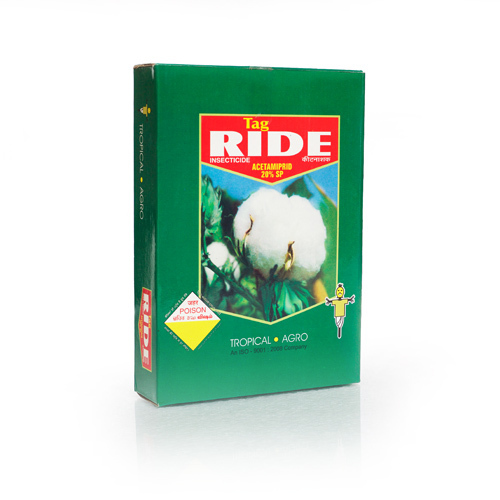 It is recommended for the control of the rice stem borer and leaf folder and bollworms in cotton. 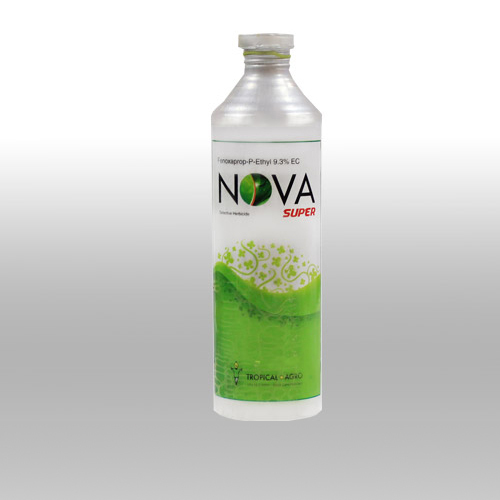 Available in 100ml, 250ml, 500ml and 1 liter HDPE Co-ex bottles. Tag Command is an insecticide containing Lambdacyhalothrin 5% EC as active ingredient. Tag Command is a synthetic pyrethroid insecticide and acaricide used to control a wide range of pests in a variety of applications. Pests controlled include Jassids, beetles and caterpillars. Crops on which it may be applied include cotton, cereals, ornamentals, potatoes, vegetables or others. 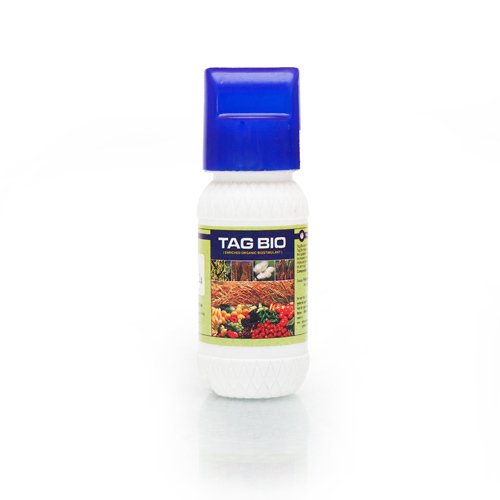 Tag Command is a contact, residual and stomach acting insecticide with repellency properties. Available in100ml, 250ml, 500ml, 1 litre and 5 litre PET containers. 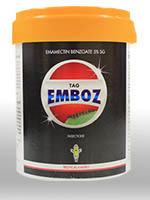 Tag Emboz is a selective insecticide containing the active ingredient Emamectin benzoate. Tag Emboz is second generation avermectin insecticide. The active ingredient in Tag Emboz is a semi-synthetic derivative of the avermectin family of naturally-derived products. 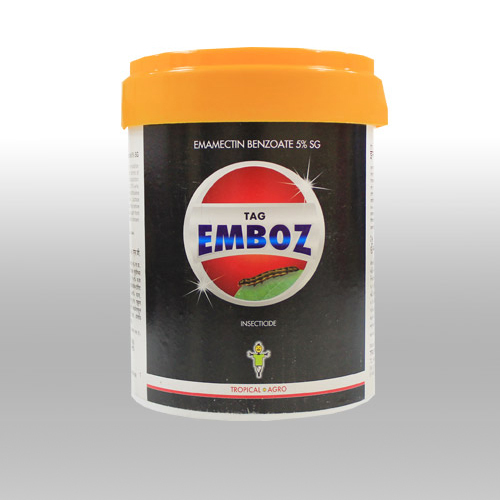 Tag Emboz is an excellent insecticide for the control of caterpillar pests on a variety of crops. When sprayed on the plant, Tag Emboz quickly penetrates the leaf and remains within the tissues for a long time. Available in 10 gm, 50 gm, 100 gm, 250 gm and 1 Kg HDPE bottles. 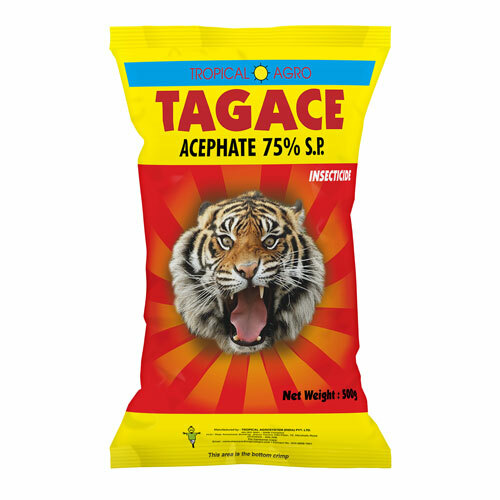 Acephate is an organophosphate foliar spray insecticide with contact action and residual systemic activity of about 10-15 days at the recommended use rate. It is used for control of a wide range of biting and sucking insects, especially aphids, including resistant species, in fruit, vegetables, horticulture and ornamentals (e.g. on roses and chrysanthemums grown outdoors). It also controls leaf miners, lepidopterous larvae, sawflies and thrips in the previously stated crops as well as turf and forestry. 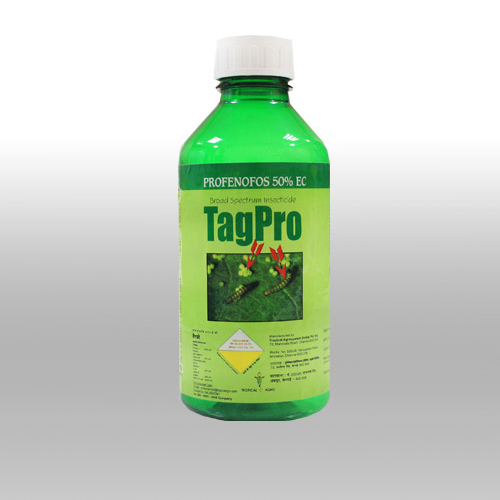 Tag Agent is a highly effective, broad spectrum granular insecticide containing the active ingredient Fipronil. It has the potential value for control of a wide range of agricultural crops, public health, amenity and veterinary pests.Tag Agent is a member of a class of insecticides called phenyl pyrazoles. It works by disrupting the central nervous system of insects. Available in 1 kg and 5 kg in LDPE bags with outer trilaminate pouches. Available in 100ml, 250ml, 500ml,1Litre and 5Litre HDPE containers. 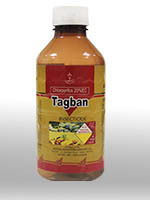 Tagban is an organophosporous insecticide containing Chlorpyrifos 20 %EC. 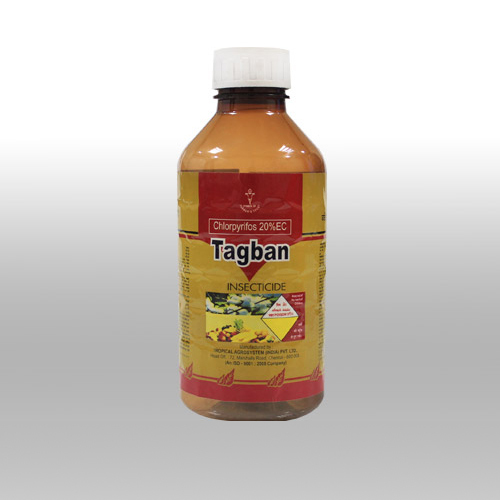 Tagban is a broad spectrum insecticide used to kill a wide variety of insects. Tagban is effective in controlling cutworms, corn root worms, root grubs, flea beetles, caterpillars, etc. It is used as an insecticide on cereals, cotton, field, fruit, nut and vegetable crops, and well as on lawns and ornamental plants. Tagban acts on pests primarily as a contact poison, with some action as a stomach poison. Available in 100ml, 250ml, 500 ml, 1litre and 5 litre PET bottles. 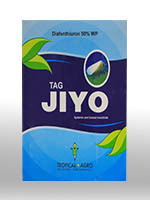 Tag Jiyo is a thiourea insecticide and miticide containing the active ingredient Diafenthiuron. 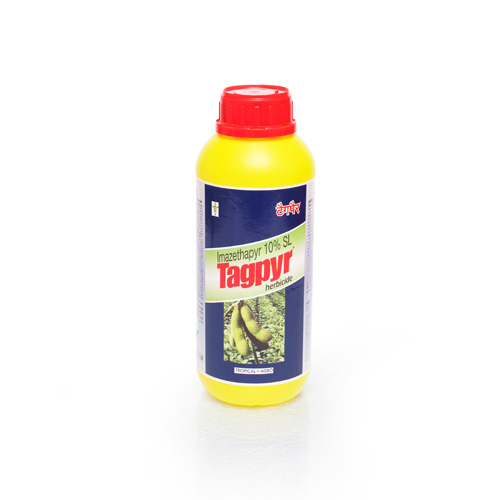 Tag Jiyo is mainly used to prevent and kill white flies, Aphids, Thrips, Jassids and mites in a wide range of crops. 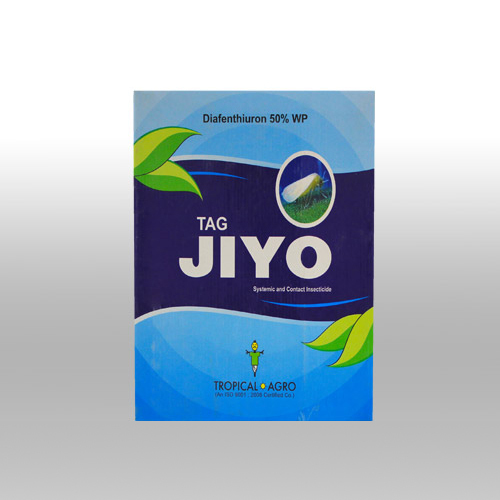 Tag Jiyo has translaminar action on pests by killing insect pests on the lower surface of treated leaves. The mode of action of Tag Jiyo is through inhibition of mitochondrial ATP synthase. Available in 500gm and 1 Kg Trilaminate pouches. 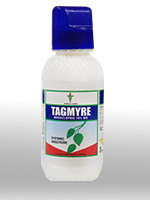 Tagmyre is a systemic insecticide containing Imidacloprid as the active ingredient. 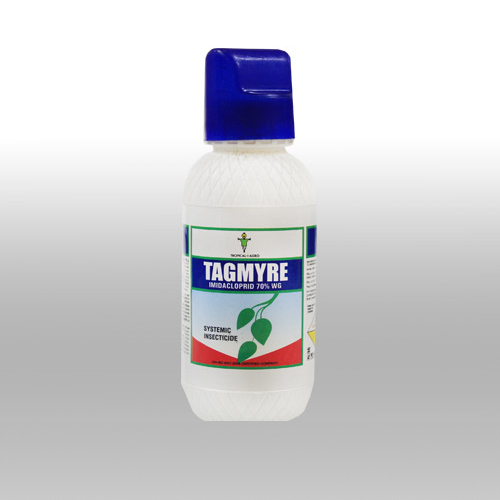 Tagmyre is a chloro-nicotinyl insecticide with soil, seed and foliar uses for the control of sucking insects including rice hoppers, aphids, thrips, whiteflies, termites, turf insects, soil insects and some beetles. Imidacloprid works by interfering with the transmission of stimuli in the insect nervous system. It is effective on contact and as stomach poison. 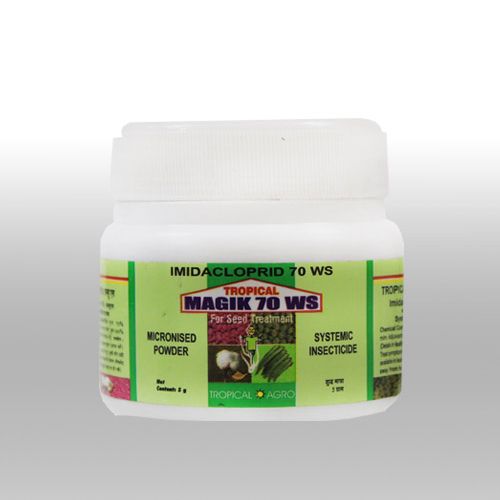 Tagmyre 70% WG is an improved formulation of Imidacloprid. Available in 30g, 75g and 150g HDPE bottles. Tagnomite is a highly effective broad spectrum acaricide containing the active ingredient, Propargite. 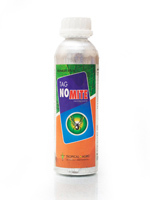 Tagnomite has two different modes of action on mites and hence there is no confirmed cases of resistance despite long years of usage. Due to the effectiveness on motile stages with very good persistence and fumigant effect at higher temperatures, newly emerged mites stop feeding and die soon after. 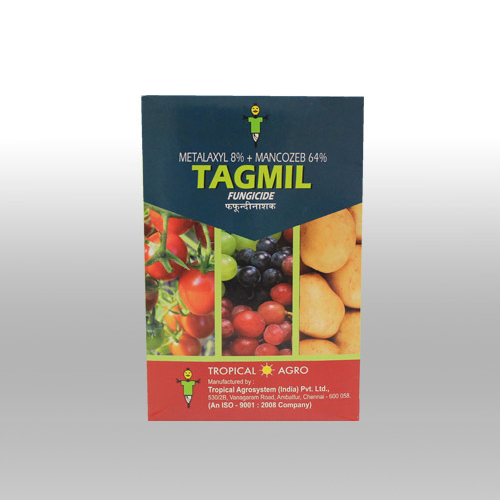 Tagnomite can be recommended on a wide range of field and horticultural crops. Available in 100 ml, 250ml, 500ml and 1 Litre HDPE bottles. 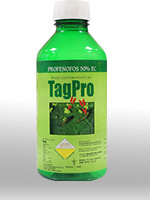 Tagpro is a foliar insecticide containing Profenofos 50% EC as active ingredient. Tagpro is a contact action and stomach poison insecticide. Tagpro has good ovicidal action especially against Heliothis and Spodoptera. 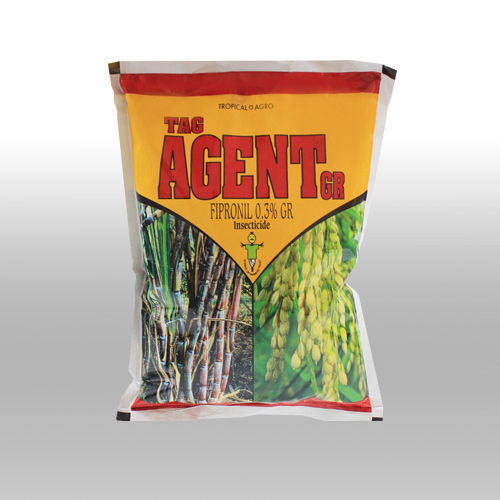 Tagpro has excellent translaminar action and it rapidly penetrates into the plant tissues. Available in 100 ml, 250 ml, 500 ml, 1 liter and 5 liter PET and Tin containers. TAGRIDE is a soluble powder formulation containing 20% of the active ingredient acetamiprid. 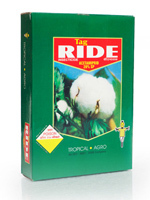 Tagride is a highly effective systemic insecticide for the control of Aphids, Jassids and Whiteflies in cotton. Available in 20gm, 40 gm, 50gm, 100gm, 500 gm and 1 kg trilaminate pouches inside cartons. 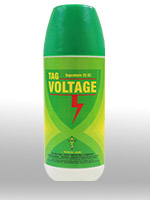 Tagvoltage is an insecticide containing Buprofezin 25% SC as active ingredient. 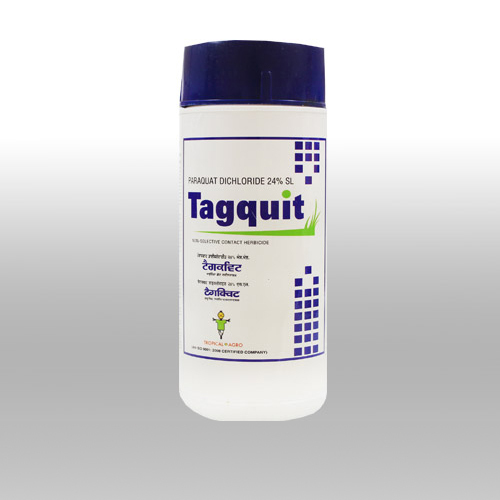 Tagvoltage is an insect growth regulator with thiadiazine structure, acting as chitin synthesis inhibitor. Chitin is an important component of insect's cuticle. Tagvoltage blocks the production of chitin. An insect poisoned by Tagvoltage cannot make chitin and so cannot molt. Because molting must take place for the insect to reach the adult stage. Eventually, the insect dies. Available in 250 ml, 500 ml and 1 litre HDPE containers. 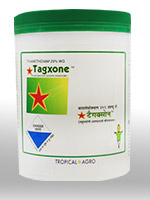 Tagxone is a foliar-applied insecticide containing the active ingredient thiamethoxam. Thiamethoxam is a second-generation neonicotinoid insecticide, belonging to the thianicotinyl subclass of chemistry and possessing unique chemical properties that result in excellent control of many sucking and chewing pests. Tagxone is used at very low rates and exhibits excellent translaminar movement into plant tissue. This movement results in part from the high water solubility and low partition coefficient of thiamethoxam. Tagxone interferes with a unique receptor site in the insect’s nervous system, the nicotinic acetylcholine receptor, and is not known to be cross-resistant to any other insecticide classes. Available in 100gm, 250 and 500 gm and 1 Kg HDPE bottles. 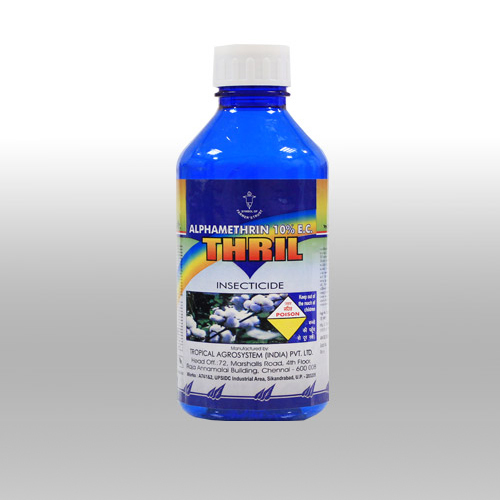 Thril is a highly active pyrethroid containing Alphacypermethrin 10% EC. It is a contact and stomach poison insecticide with good knock down action and long persistence against a wide range of caterpillar and sucking pests. Available in 50 ml, 100ml, 250 ml, 500ml, 1 litre and 5 litre PET containers. 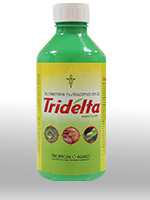 Tridelta is quick knock down action insecticide containing Deltamethrin 1% + Triazophos 35% EC. It is both a contact and stomach poison ready-mix insecticide with translaminar action. It is very effective for the control of major pests on Cotton, particularly, bollworms and whiteflies. 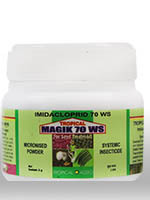 Tropical Magik 70 WS is systemic insecticide containing imidacloprid as active ingredient. It is a low toxicity seed dresser, systemically acting insecticide with a broad spectrum of activity for controlling sucking insects such as Aphids, Jassid, Whitefly, Thrips, Termites in cotton, Okra, Chillies and Sugarcane. When handled properly according to good agricultural practices it is suitable for use in Integrated Pest Management. *Setts dip treatment with 0.10 to 0.150 kg of imidacloprid 70% WS in 100 litre of water. Any small quantity of seed can be readily treated on the farm by mixing the proper amount of imidacloprid 70% WS and seed in closed mixing drum or a concrete mixer. Roll the seed until each grain is uniformly coated with the insecticide. Seed treatment on commercial basis can be carried out by specialized spectrum seed dressing equipment. Available in 5 x 1 gm in HDPE bottle, 10 gm and 1 Kg pouches. 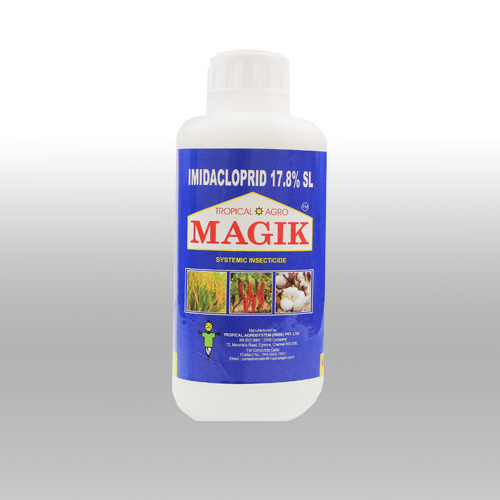 Tropical Magik Super is a powerful insecticide containing the active ingredient, Imidacloprid 30.5% SC. 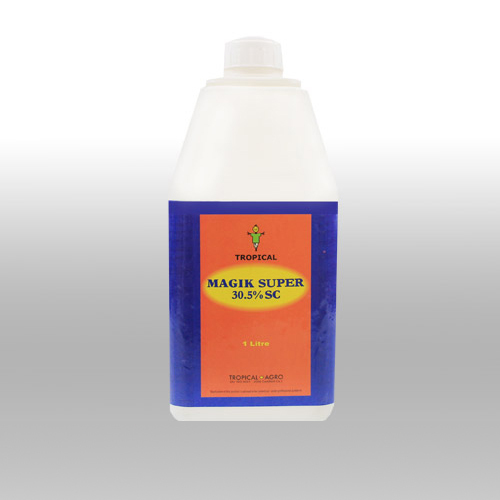 It belongs to the new chloronicotinyl group of insecticides.Tropical Magik Super has excellent systemic action against a wide range of sucking pests. 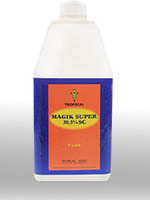 Tropical Magik Super has both acute contact action and is also a stomach poison. 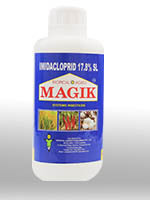 Tropical Magik is a systemic, chloro-nicotinyl insecticide with soil, seed and foliar uses for the control of sucking insects including rice hoppers, aphids, thrips, whiteflies, termites, turf insects, soil insects and some beetles. It is most commonly used on rice, cereal, maize, potatoes, vegetables, sugar beets, fruit, cotton, hops and turf, and is especially systemic when used as a seed or soil treatment. Tropical Magik works by interfering with the transmission of stimuli in the insect nervous system. It is effective on contact and as stomach poison. Available in 100ml, 250ml, 500ml,1 Litre HDPE containers. 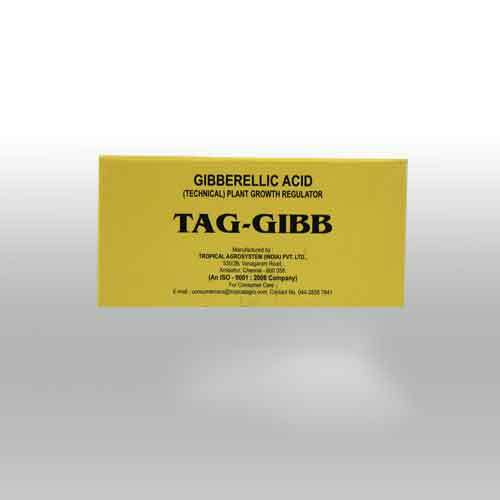 Tag-Gibb is a plant growth regulator containing a mixture of Gibberellins. 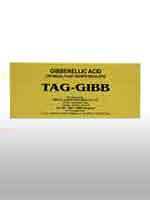 Tag- Gibb is an important plant hormone used to improve seed germination, plant growth and size. Tag-Gibb can also influence the timing of flowering, flower gender and flower size. The technical material is directly used in the field after suitable dilution. Grape fruit At full bloom 500-1000 One directed spray 500-750 55-11.0 gm of 90% Gibberellic acid inh 10 Ltr. of water. Grape At full bloom & fruit set 100 One directed spray 500-750 1.1 gm 90% of spray Gibberellic acid in 10 ltr. of water. Grape (seed less) At full bloom & post bloom. 15-60 2 blanket spray 500-750 0.17-0.68 90% in gibberellic acid in 10 ltr. of water. Grape fruit : At full bloom (for fruit set) week of 1st / may (for June fruit crop) week of 1st / Oct. for pre - harvest crop. Sweet cherry - When more than 60% buds opened fully. Grape : Full bloom and fruit set Grapes (Seedless) . b) Spray when 4 weeks old. 1 gm of Sodium Bicarbonate powder in a small LDPE pouch along with Tag-Gibb is supplied. Sodium Bicarbonate may first be dissolved in 1 Litre of water to form a solution. 1 gm of Tag-Gibb may be mixed in the in the above solution and used for treatment of the required crops, after preparing the necessary dilutions. 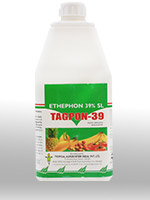 Tagpon 39 SL is a plant growth regulator. Its use varies with plant species, chemical concentration, and time of application. 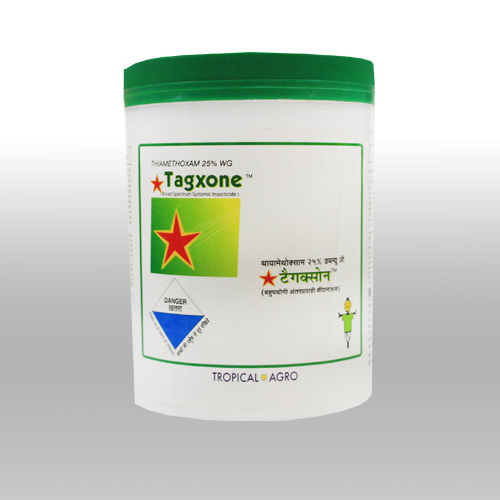 Tagpon regulates phases of plant growth and development by application to various growth sites. It is used on apples, barley, cherries, coffee, cotton, cucumbers, grapes, guava, ornamentals, peppers, pineapples, sugarcane, tobacco, tomatoes, walnuts, wheat, etc. Tagpon’s mode of action acts via liberation of ethylene, which is absorbed by the plant and interferes in the growth process. It is also used in the acceleration of ripening of fruits and vegetables. Mango (for breaking alternate bearing tendencies) : First spray in mid October or early November total 5 spray at fortnightly interval. Mango (for flower induction) : Commencing from early November total 5 spray at weekly interval. Mango (post harvest treatment): Dip mature fruits in the solution for uniform ripening or spray. Pineapple (for flower induction) : 30 - 37 leaf stage or 10 - 12 months. One spray. Coffee (Arabica uniform ripening of berries ) & Coffee Robusta : Fly picking stage when 10 - 15% of berries are ripened one spray. Tomato (post harvest treatment) : Fruits post harvest treatment. Dipping only or spray Rubber-- March, August, September, November (four application) brushing once in two months on the tapping cut of the bark. 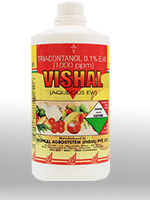 Vishal is a natural organic product containing Triacontanol 0.1% EW. 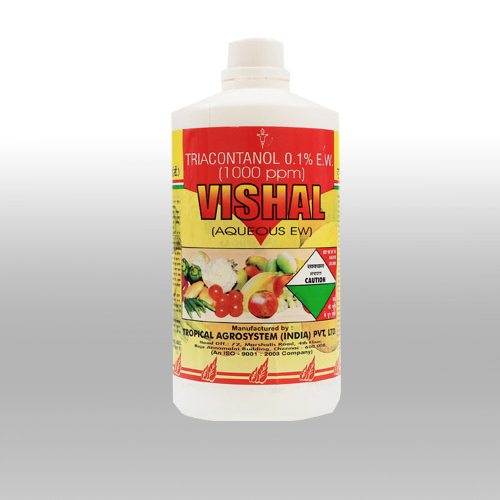 Vishal increases the yield of a number of crops like cotton, wheat, maize, paddy, bhendi, cucumber, cucurbits,coffee, tea, spices as well as tomato, potato and brinjal. 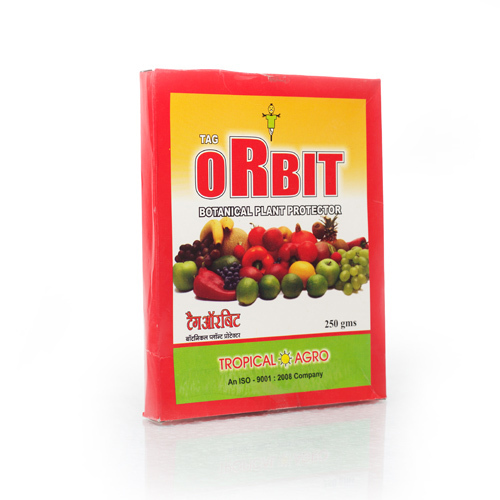 Vishal stimulates photosynthesis and several enzyme activities that increase the sugar level in fruits. Available in 100 ml, 250 ml, 500 ml, 1 Litre and 5 Litre HDPE containers.